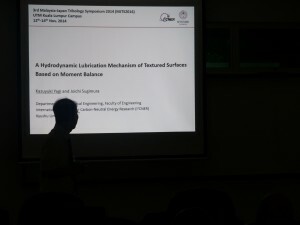 TriPreM wishes to congratulate Mr Sangeeth Suresh for his achievement of obtaining the Best Paper Award during the Science and Engineering Technology National Conference 2015 (SETNC 2015). 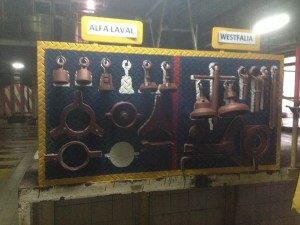 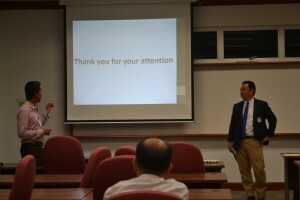 The official website can be found by following this link. 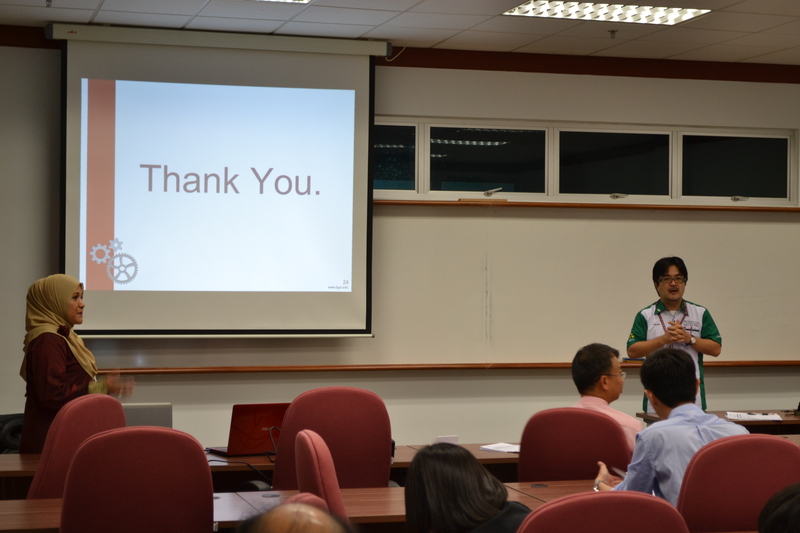 TriPreM wishes to congratulate Patrick Lim Sheng Yi and Lai Wei Hang for placing 4th for the JACTIM Undergraduate Research Proposal Competition 2015. 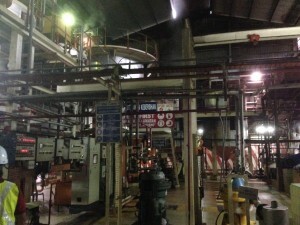 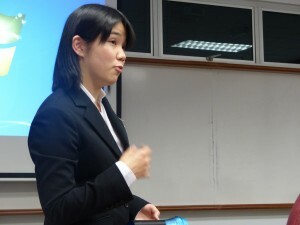 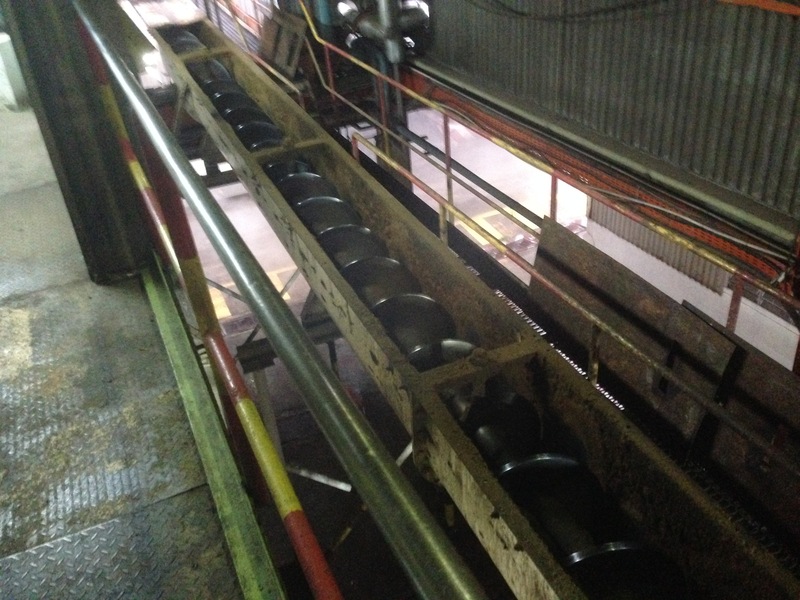 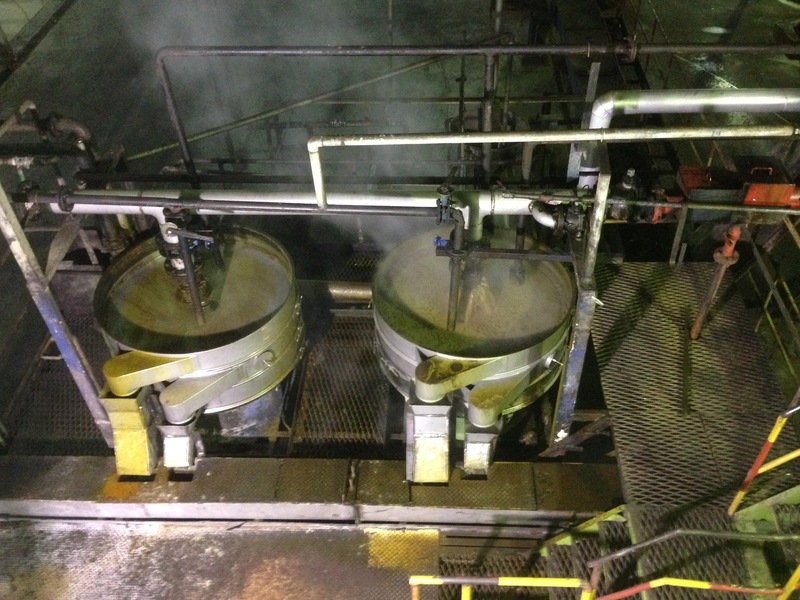 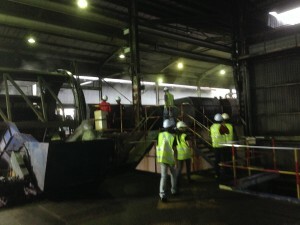 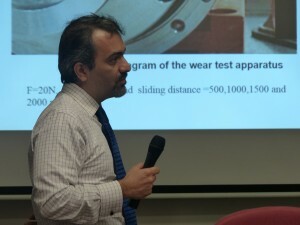 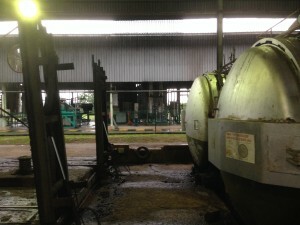 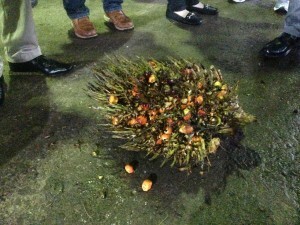 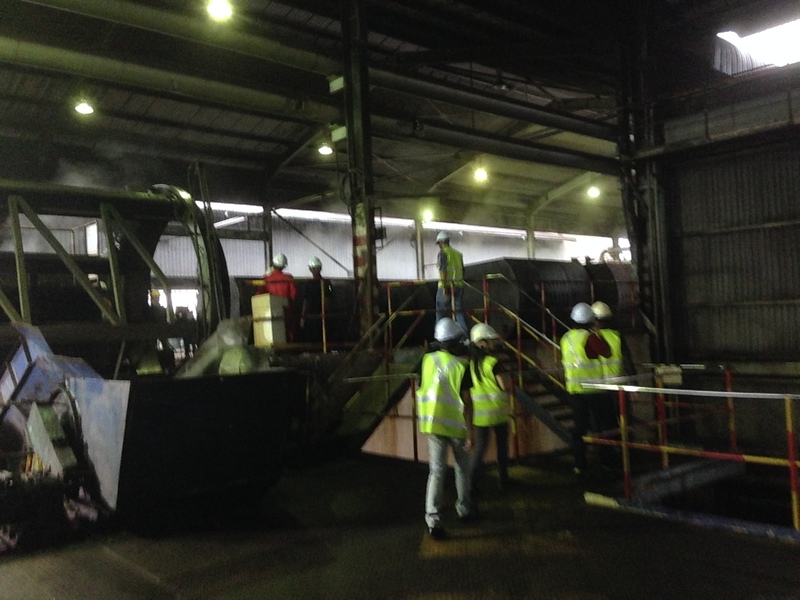 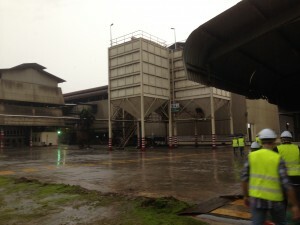 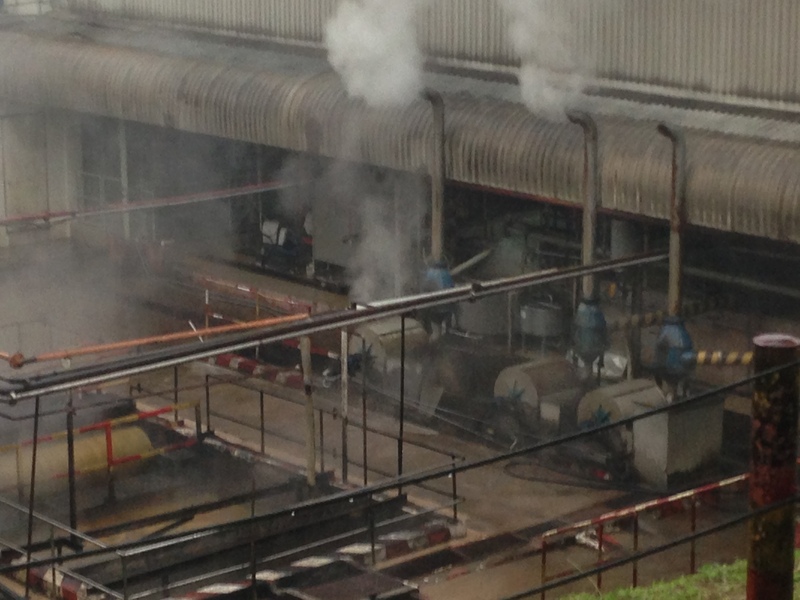 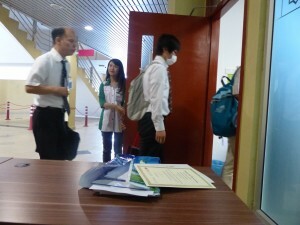 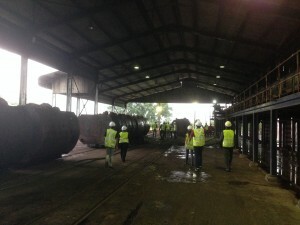 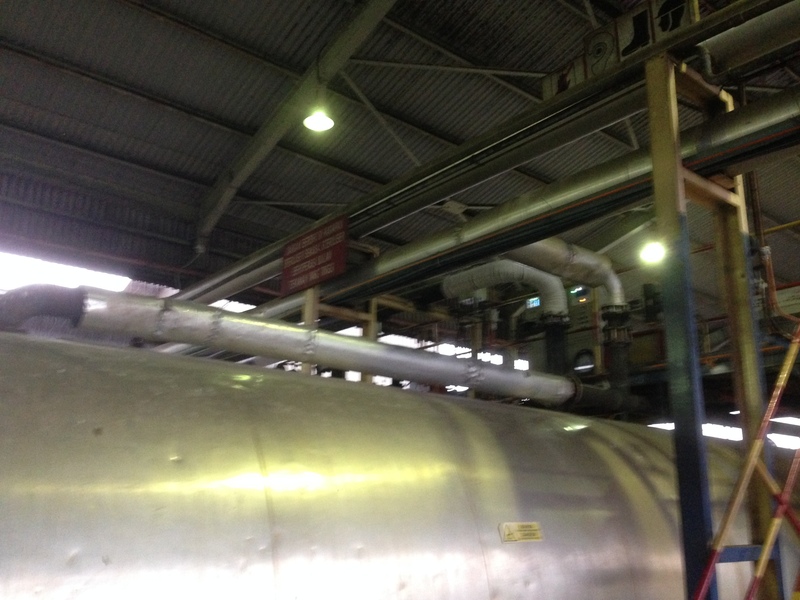 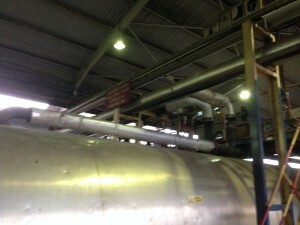 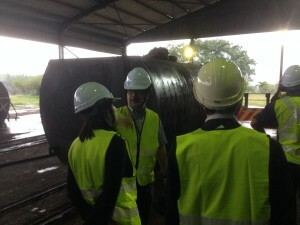 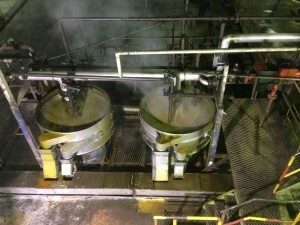 The title of the proposal is “Development of High-temperature Tribotester”. 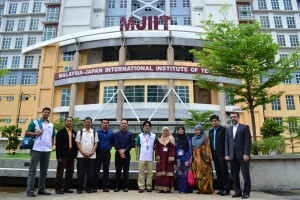 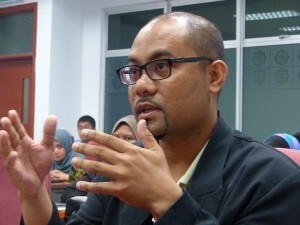 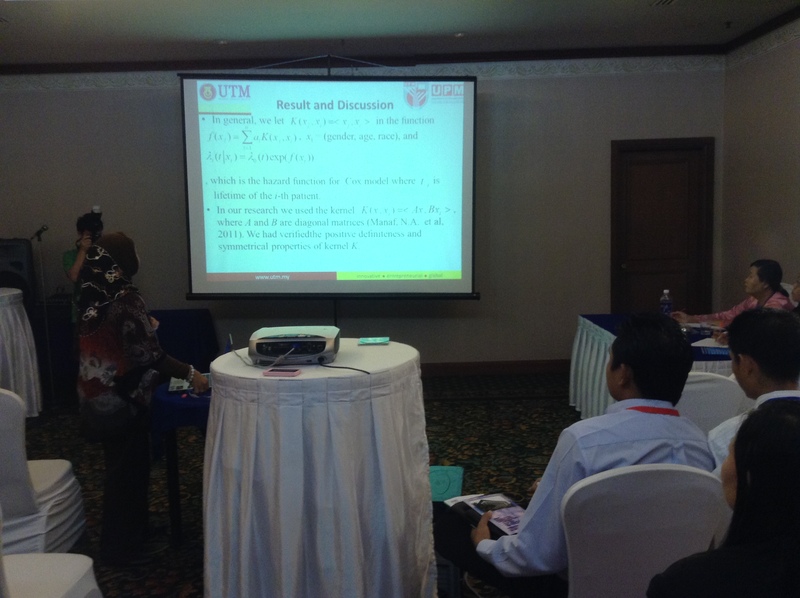 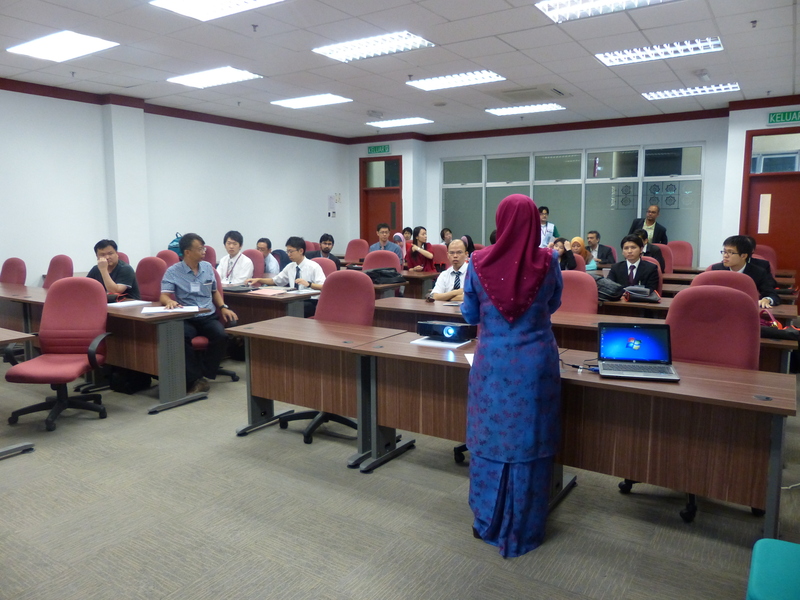 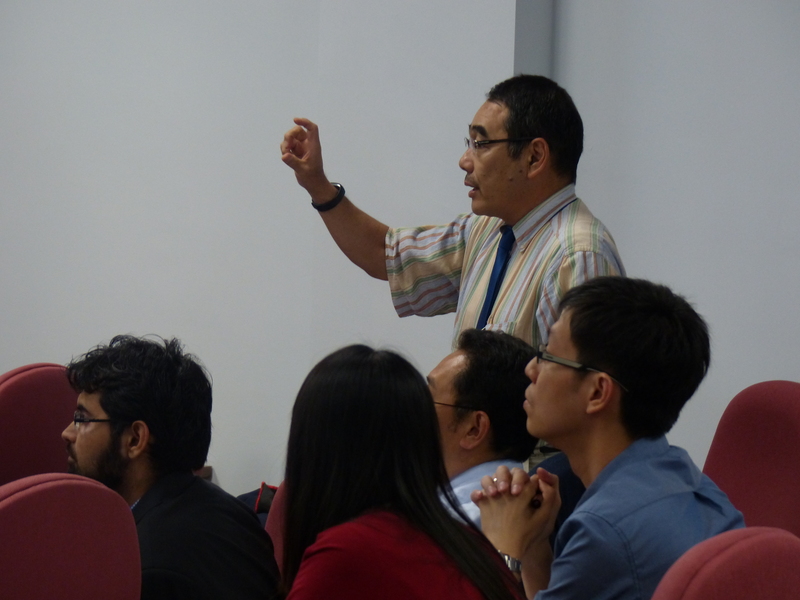 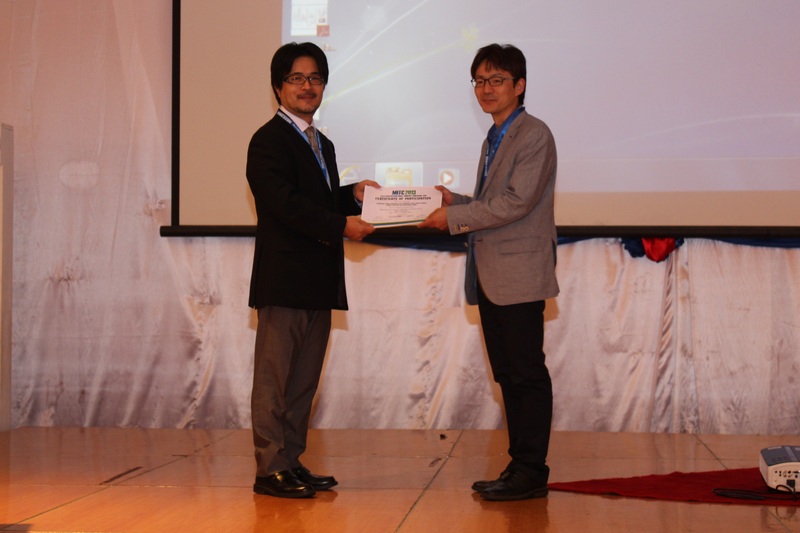 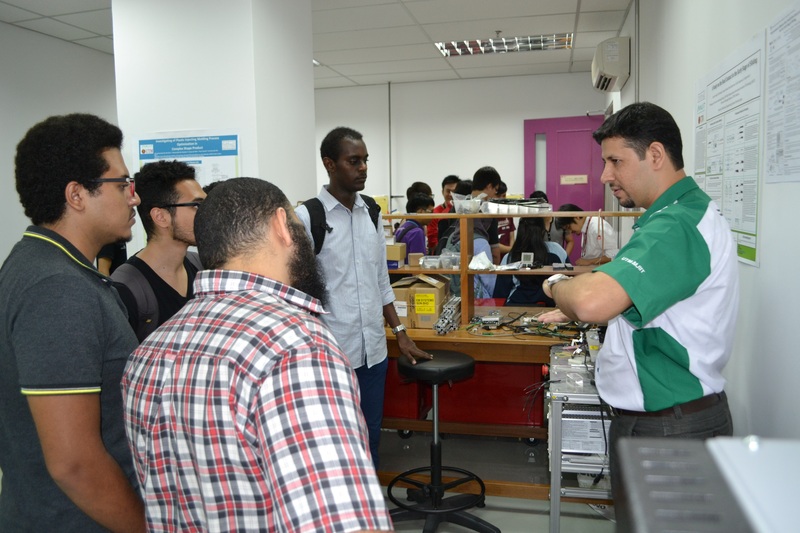 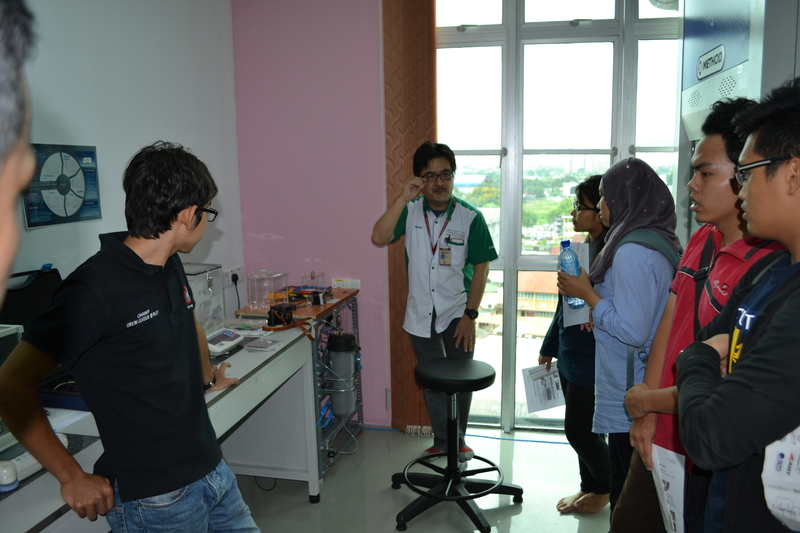 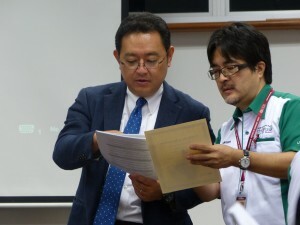 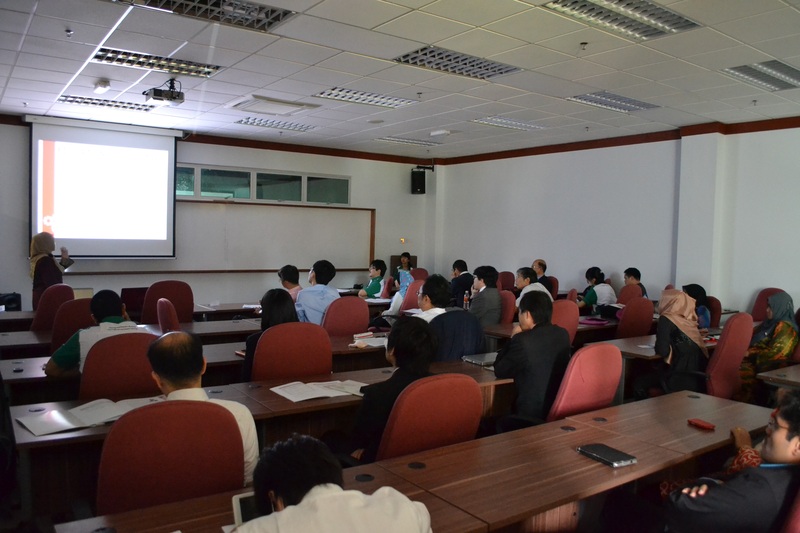 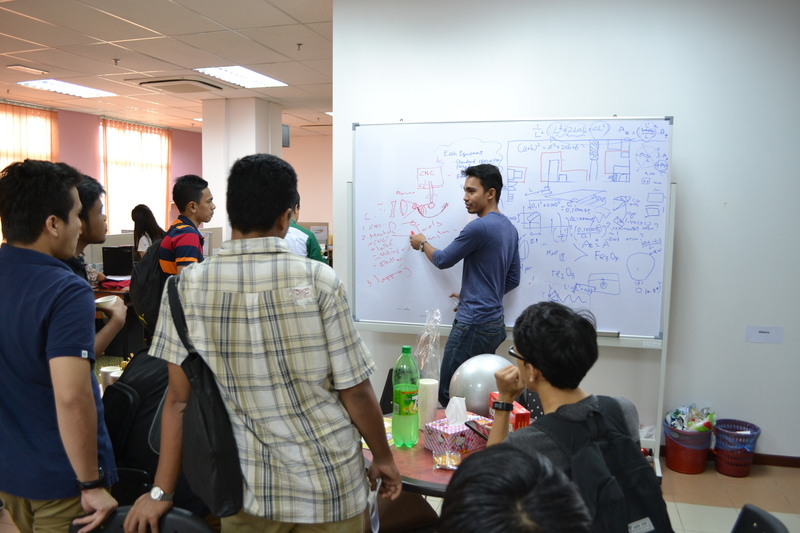 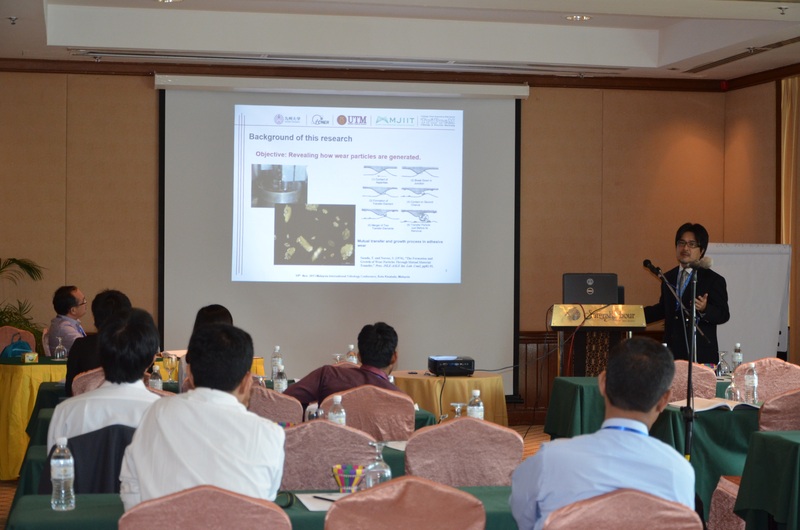 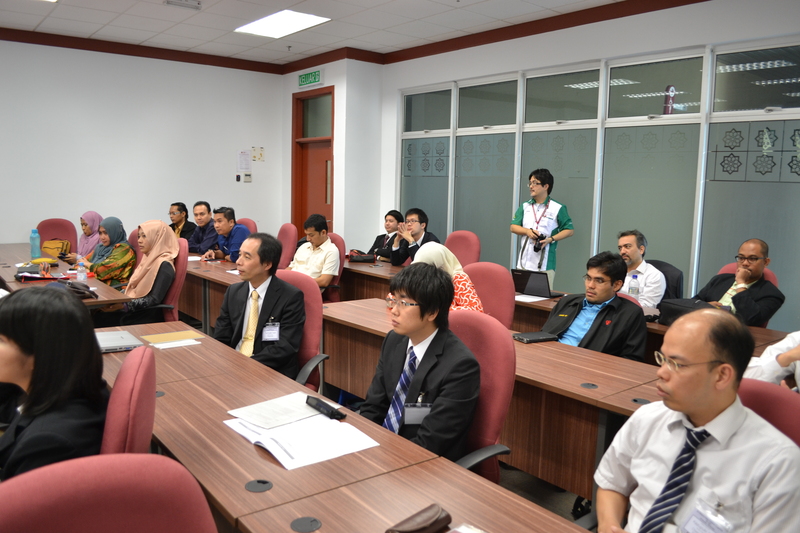 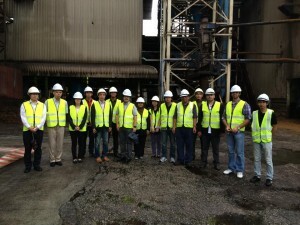 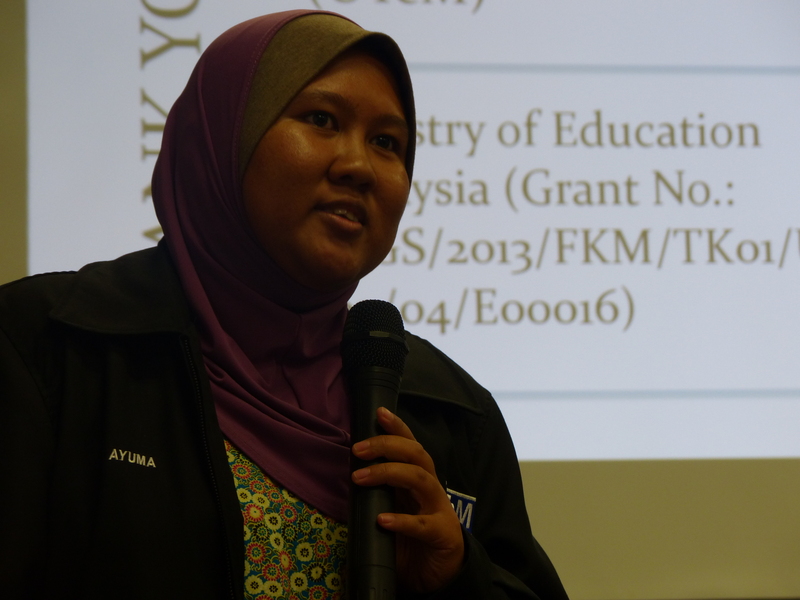 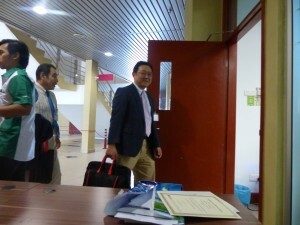 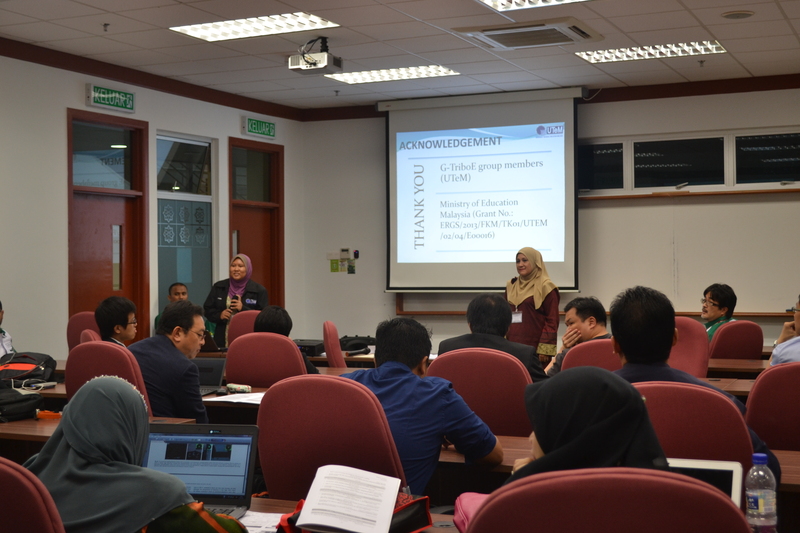 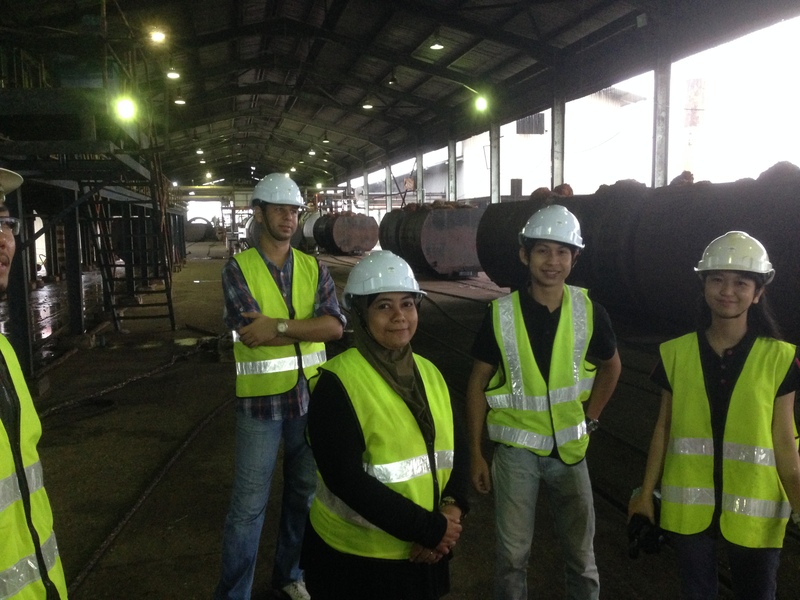 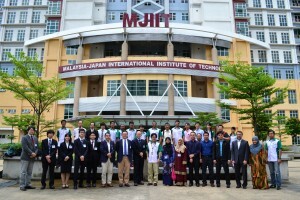 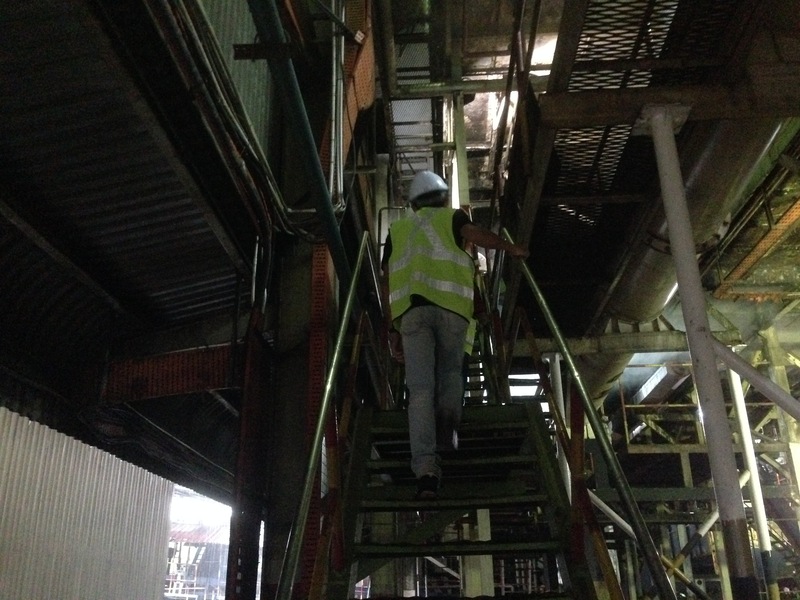 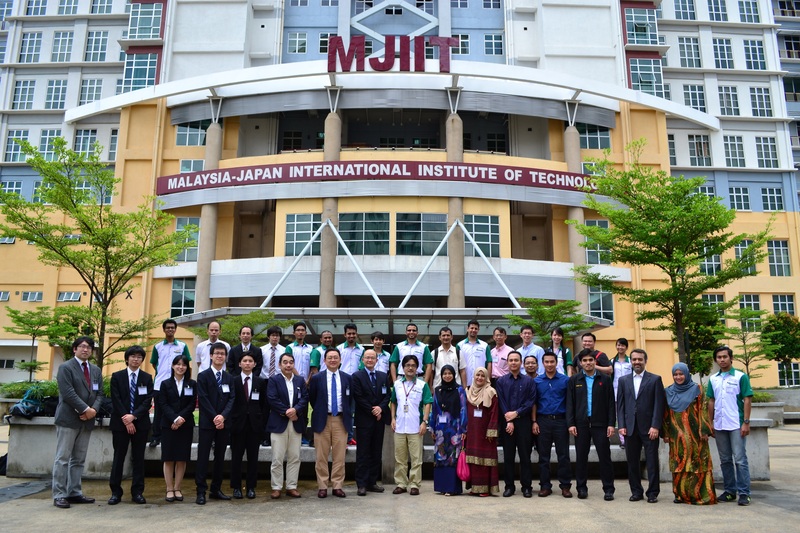 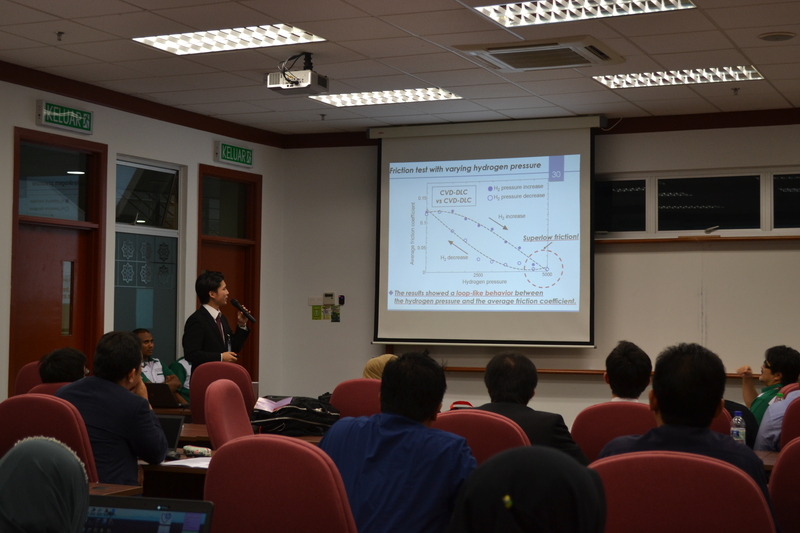 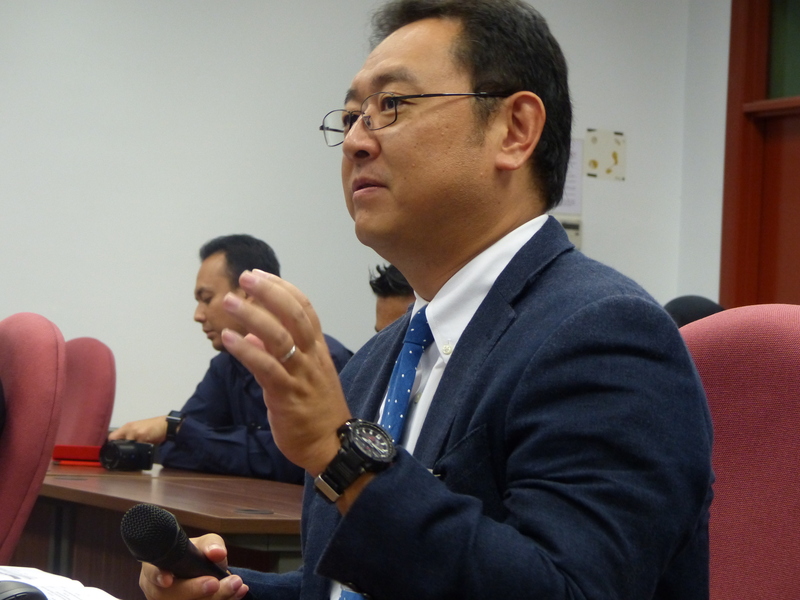 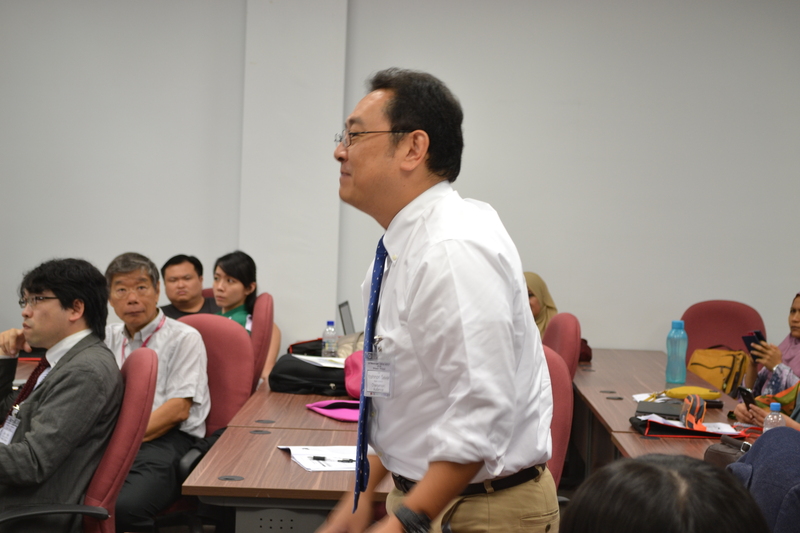 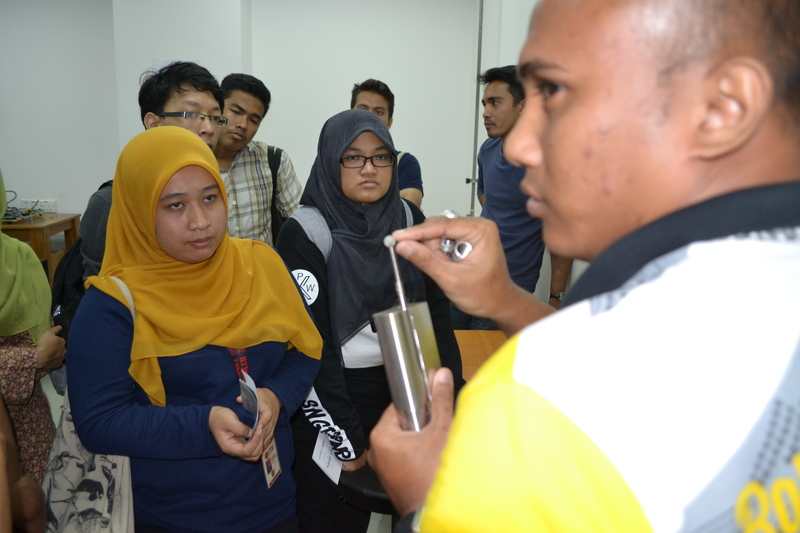 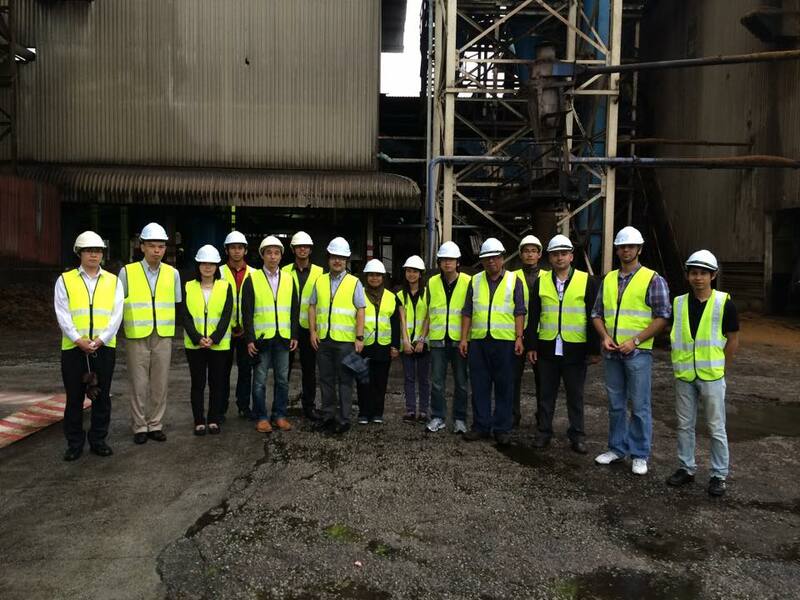 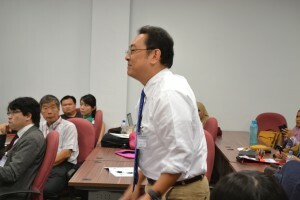 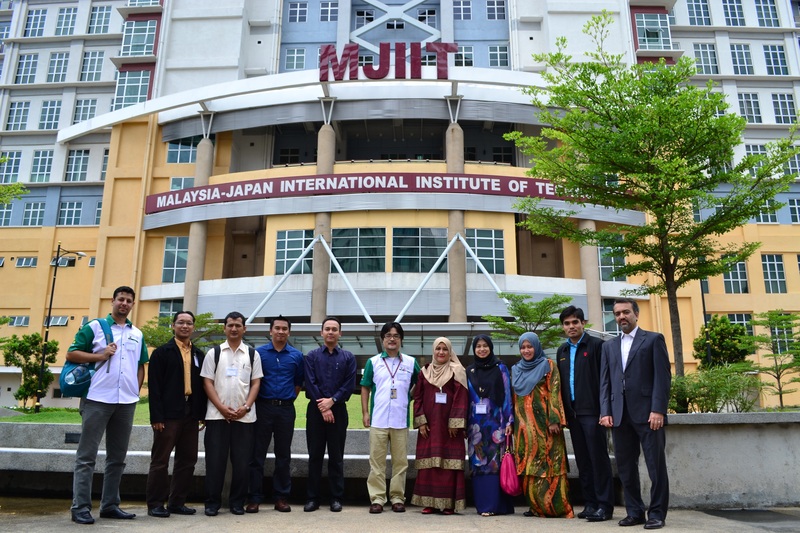 On 19th – 21st October 2015, Dr Jun Ishimatsu attended the International Conference on Mechanical and Manufacturing Engineering (ICME 2015), which took place at Universiti Tun Hussein Onn Malaysia, Johor. 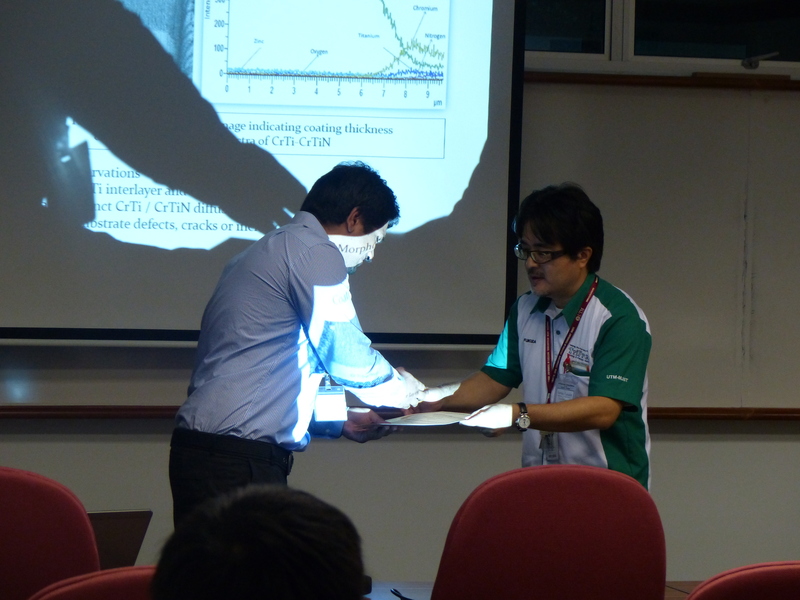 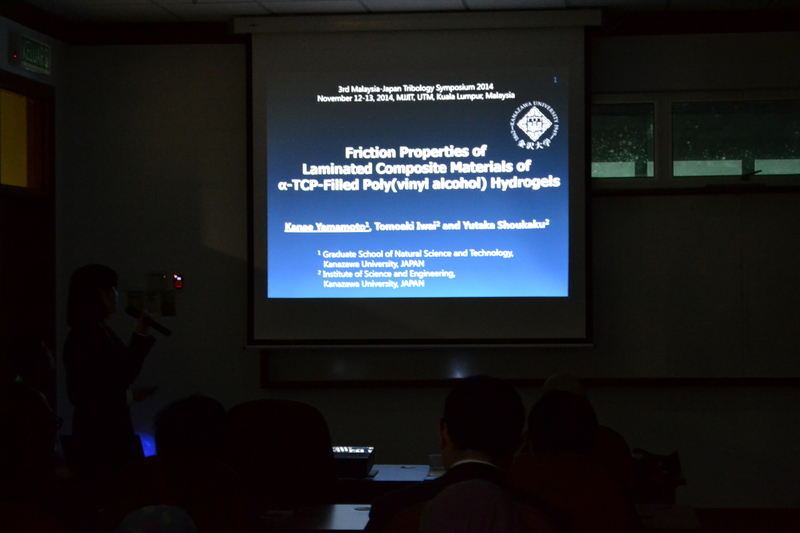 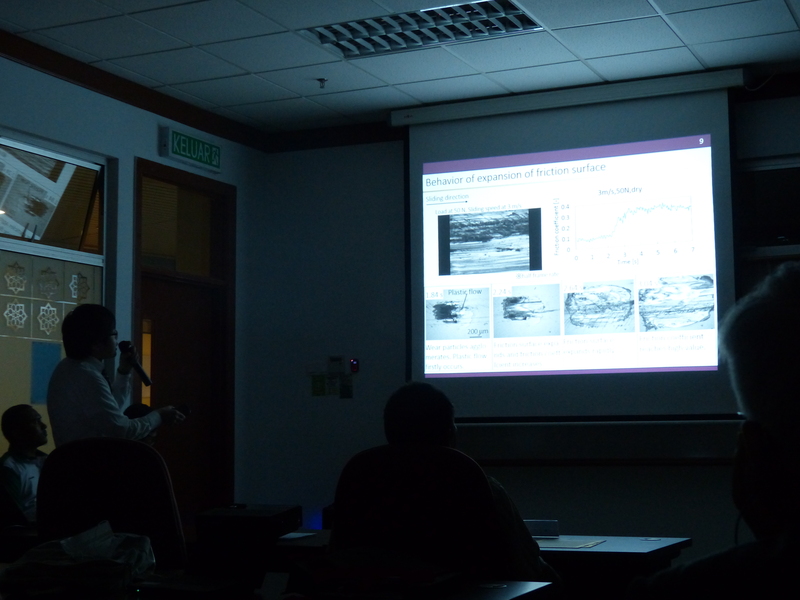 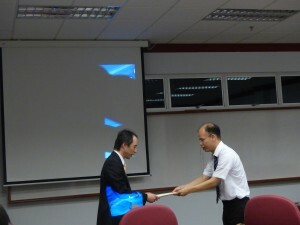 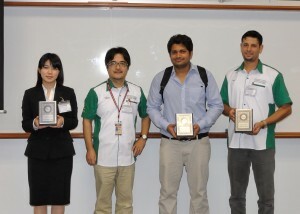 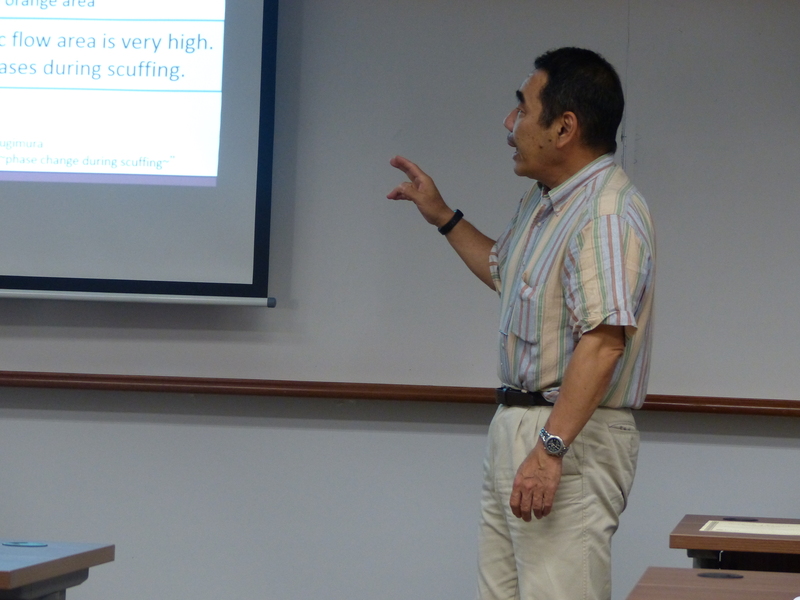 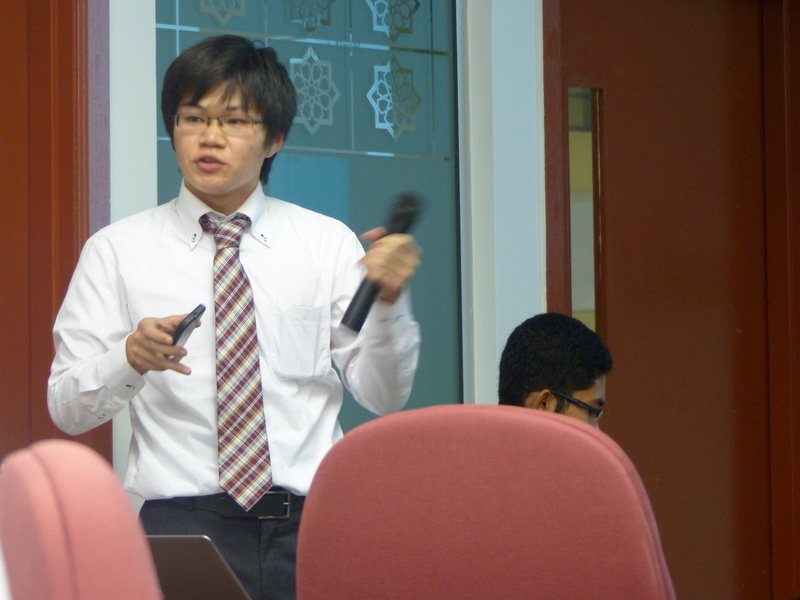 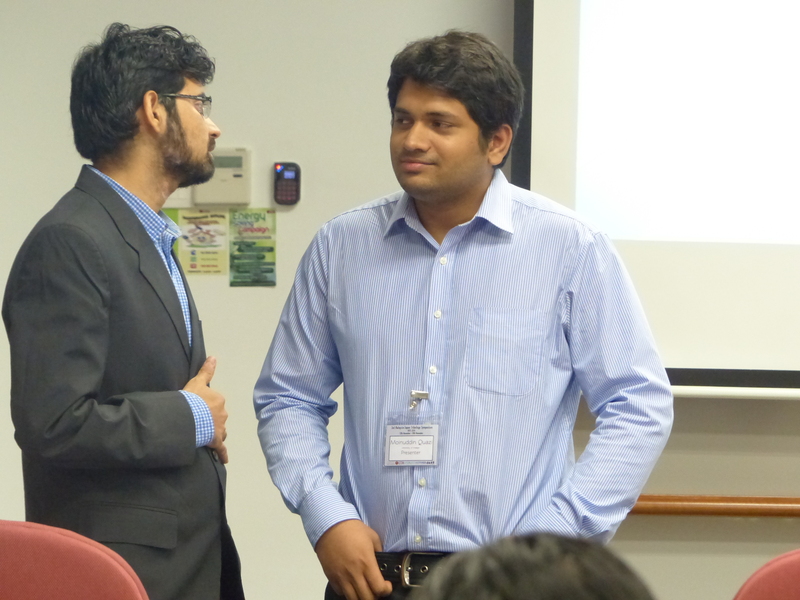 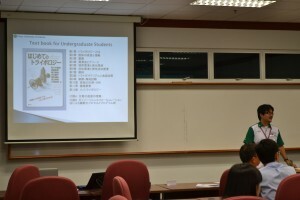 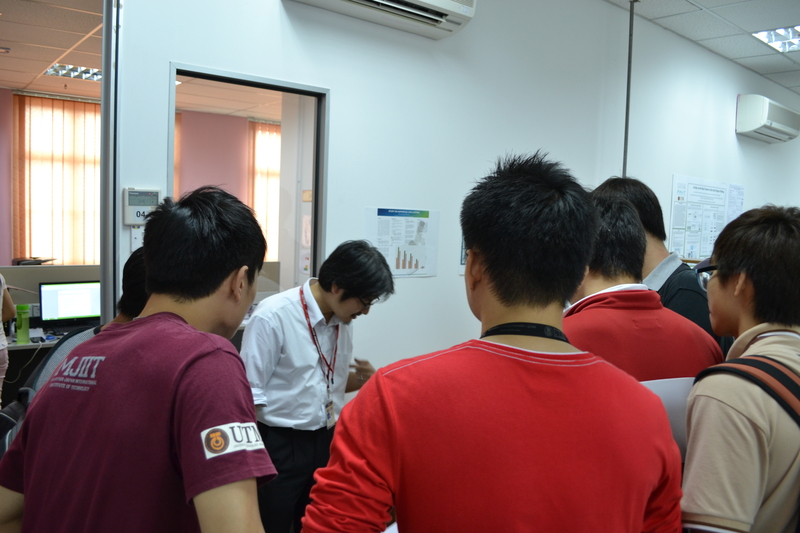 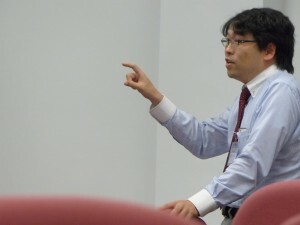 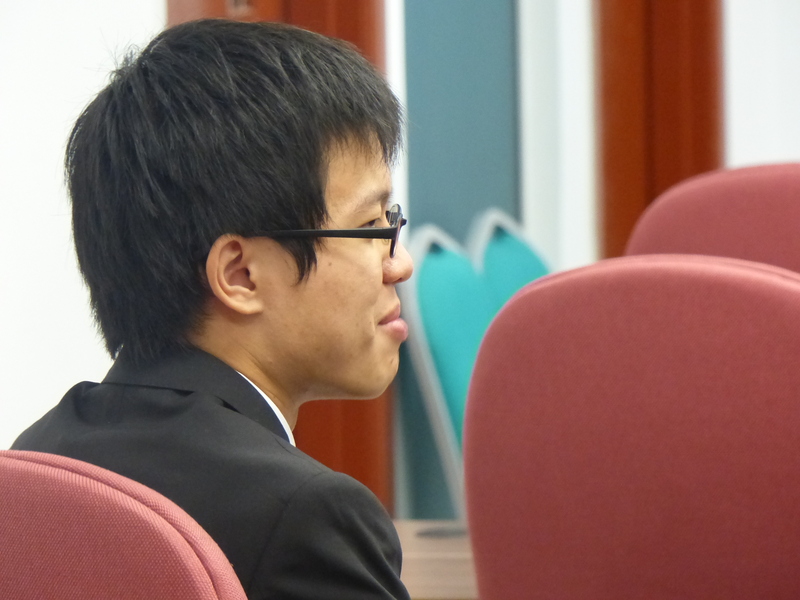 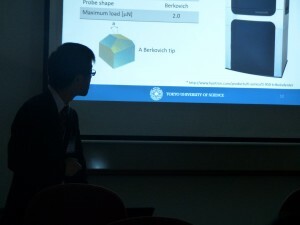 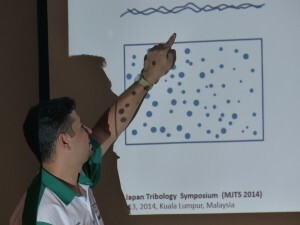 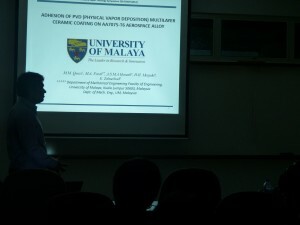 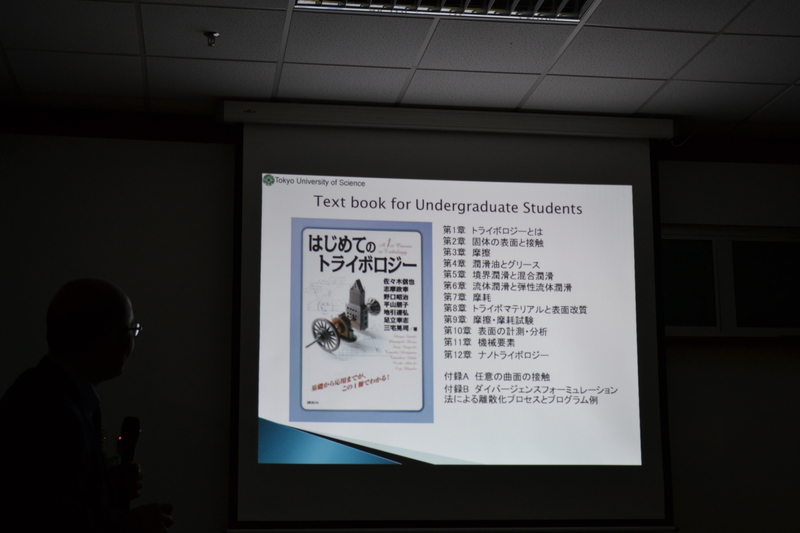 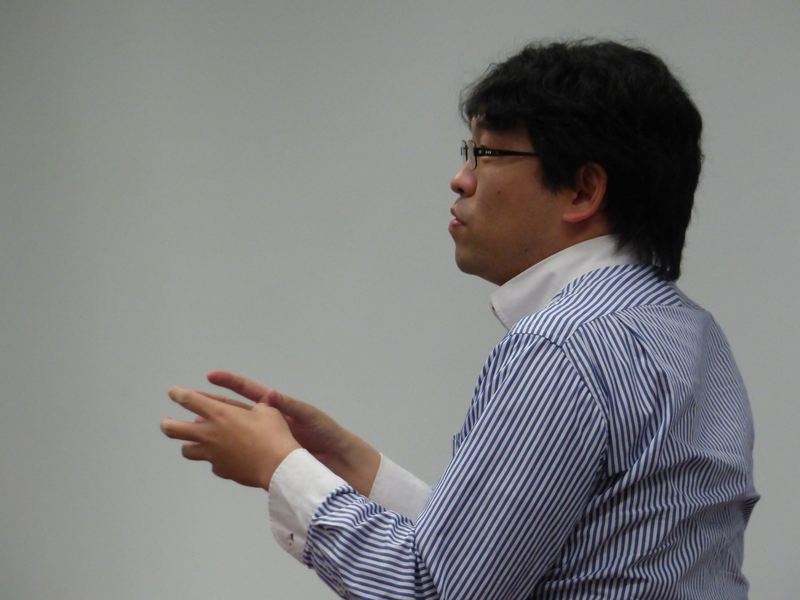 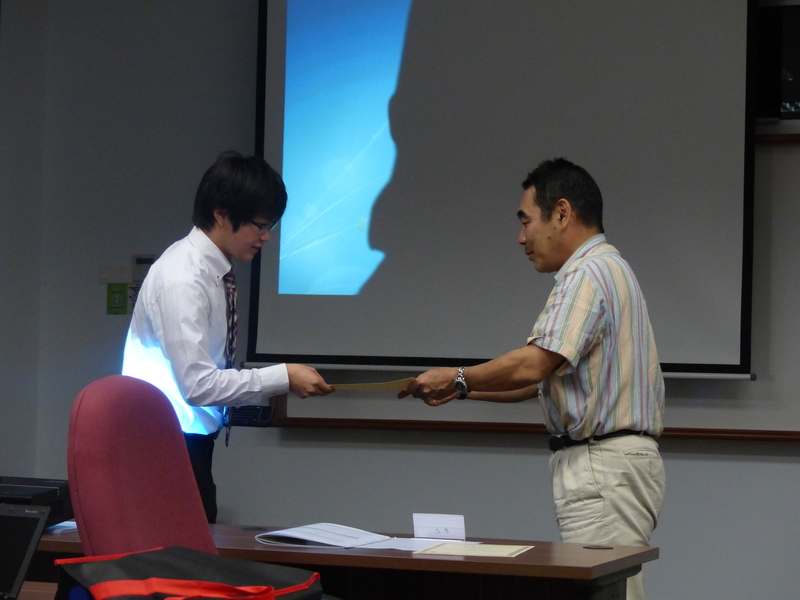 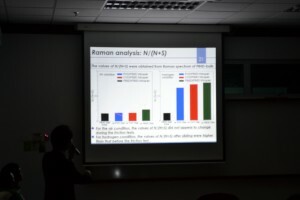 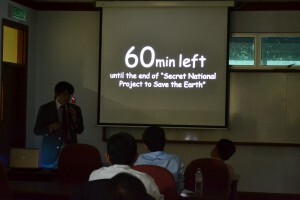 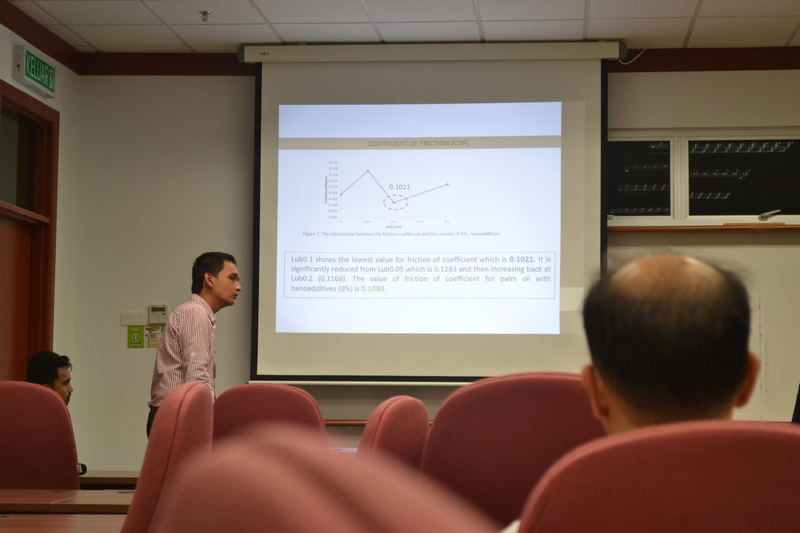 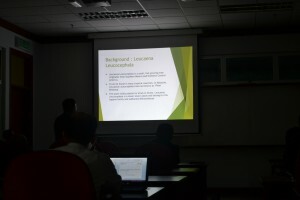 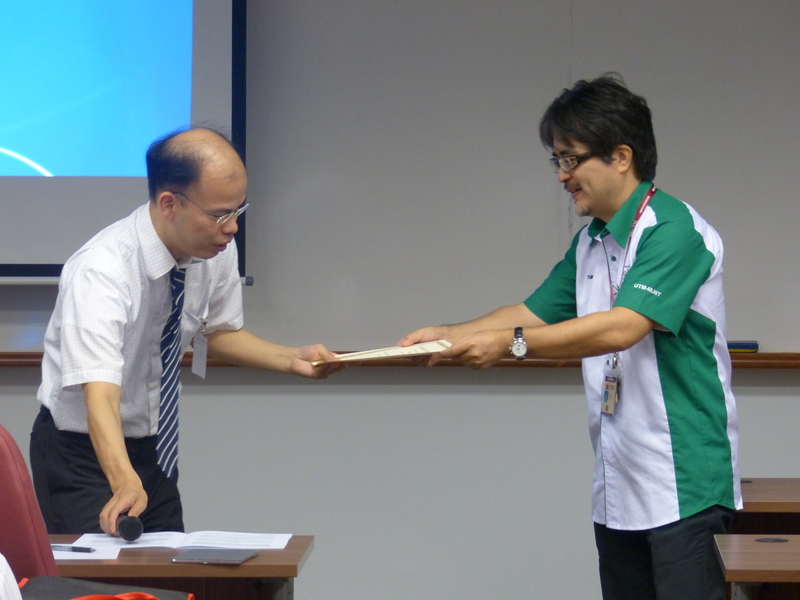 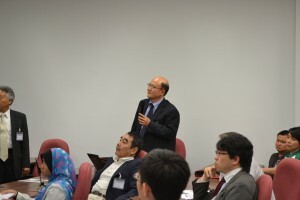 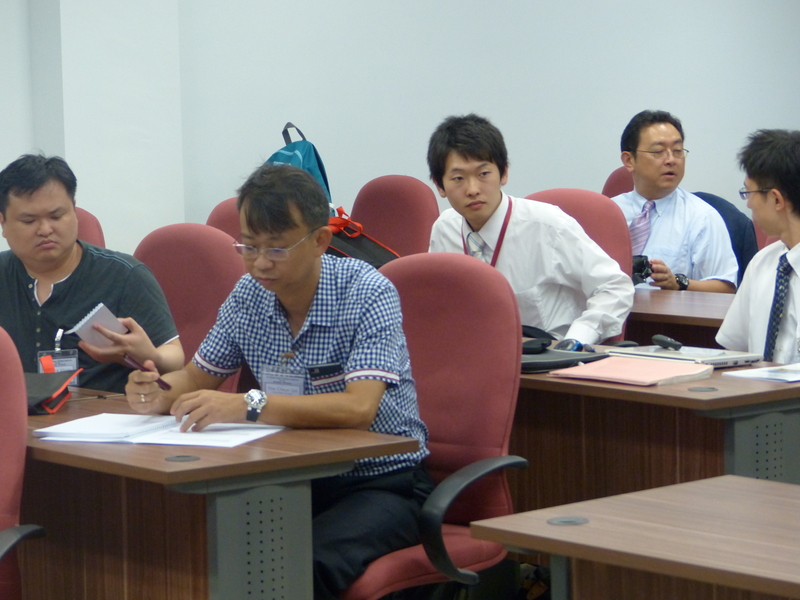 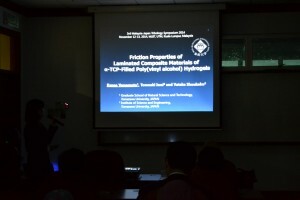 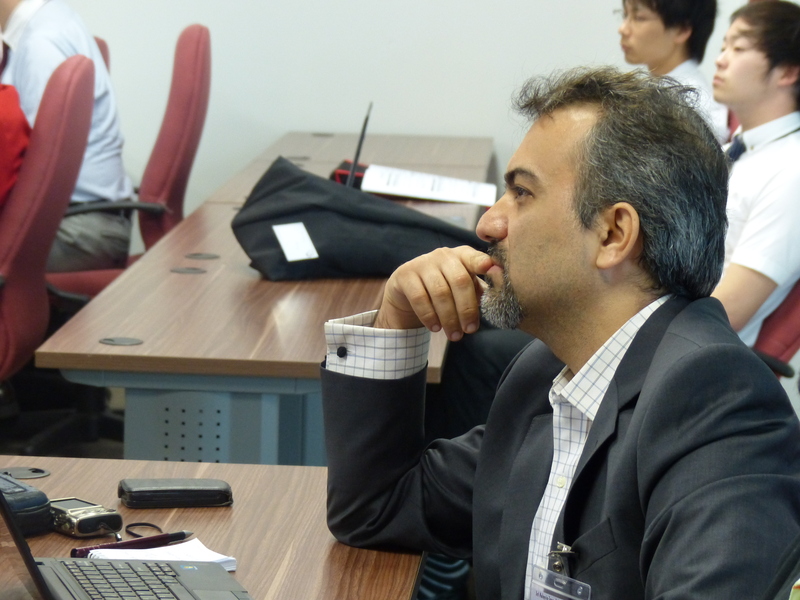 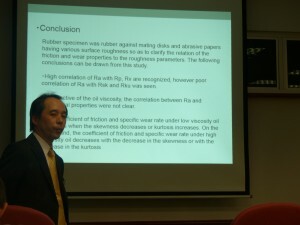 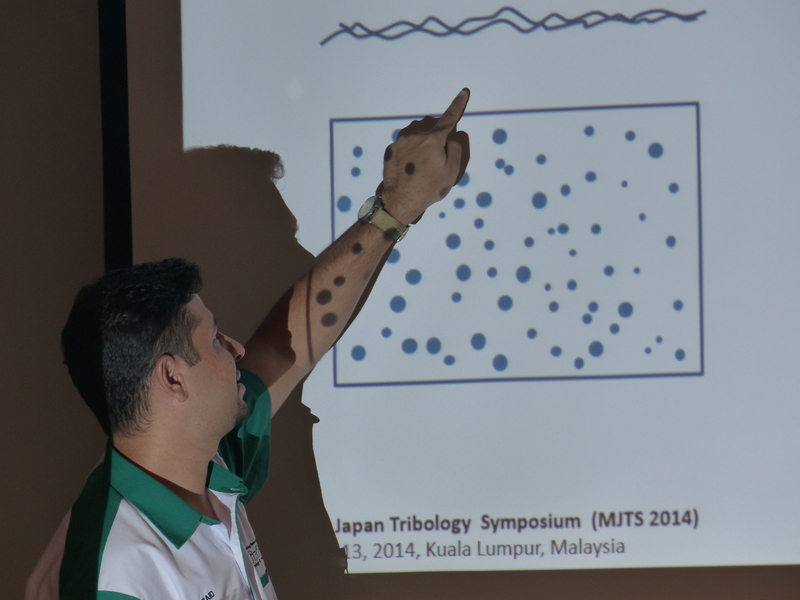 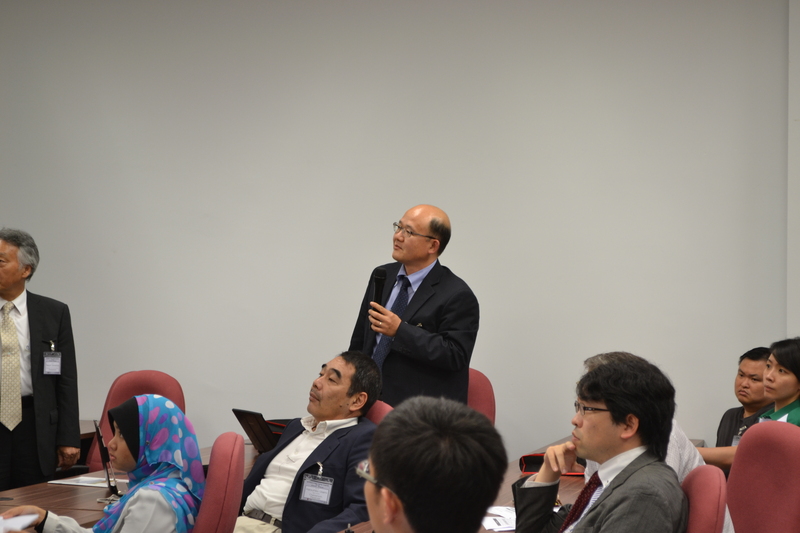 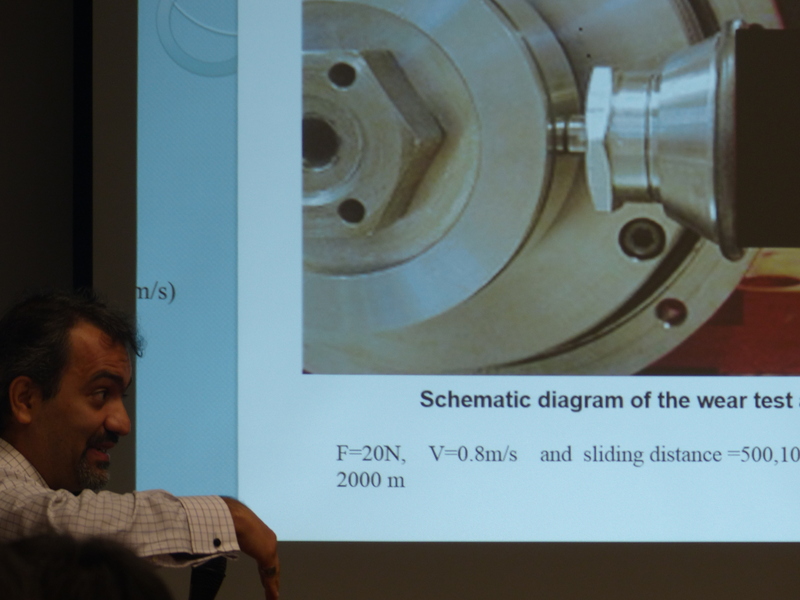 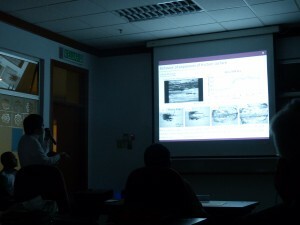 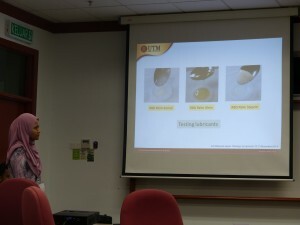 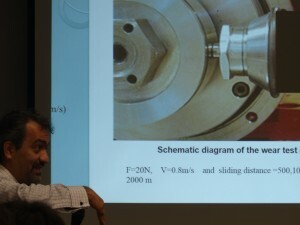 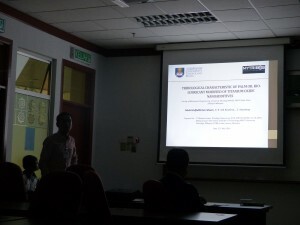 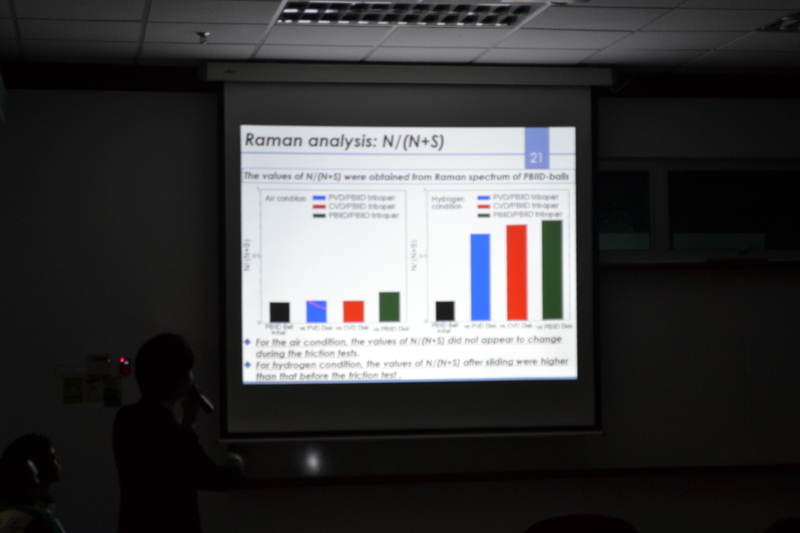 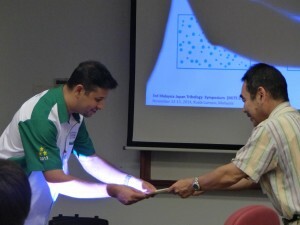 Dr Ishimatsu presented his research, titled “Thermal Effects of Ultrasonically Excited Grinding Fluid“. 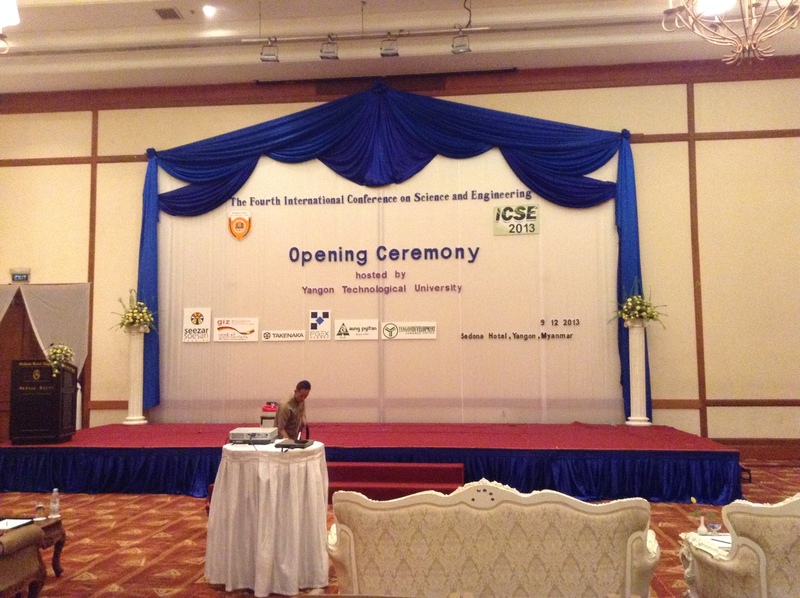 The official website for the conference may be found by following this link. 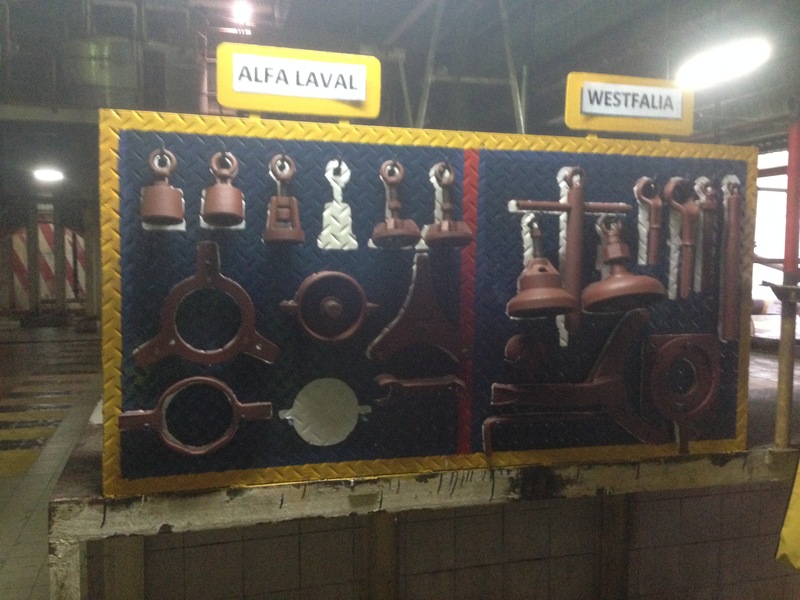 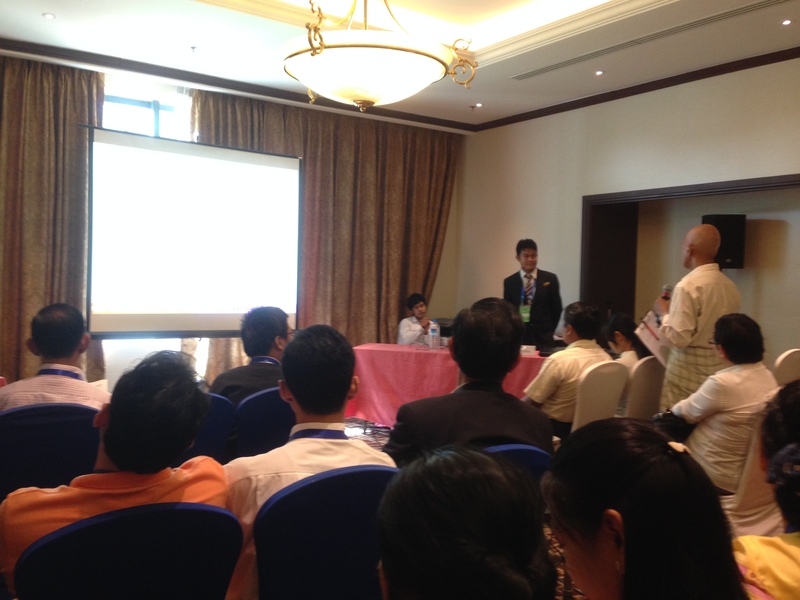 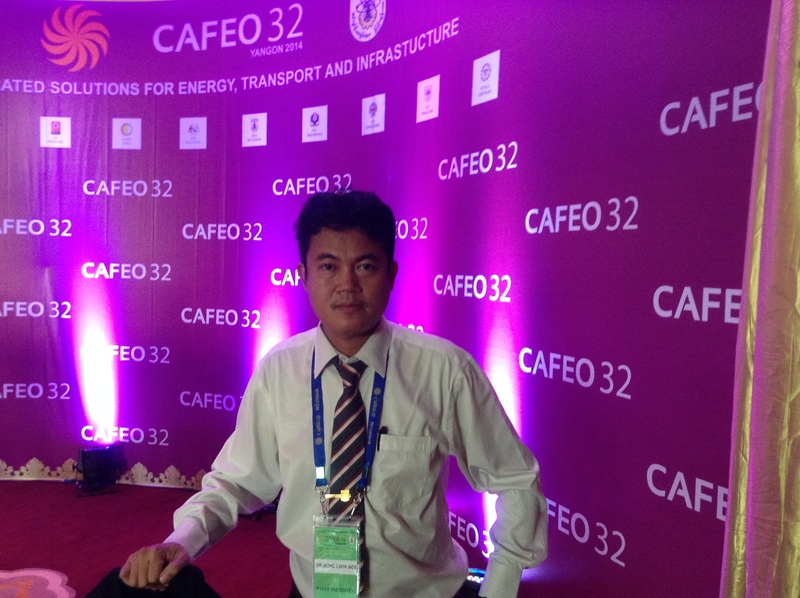 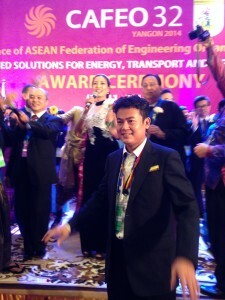 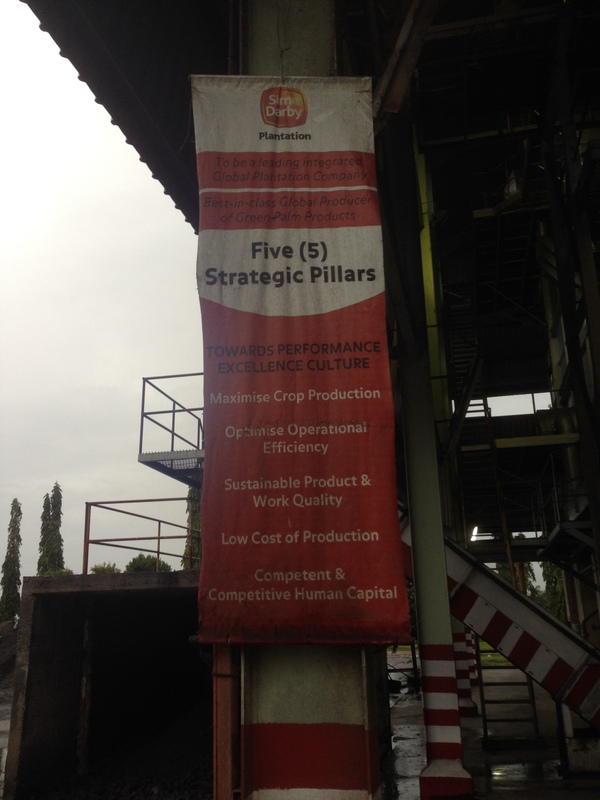 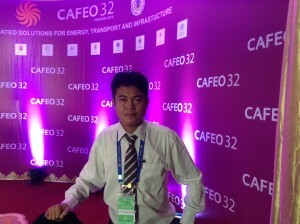 From 10th November – 13th November 2014, Dr Aung Lwin Moe attended the 32nd Conference of ASEAN Federation of Engineering Organizations 2014 (CAFEO 2014), which took place at Sedona Hotel, Yangon, Myanmar. 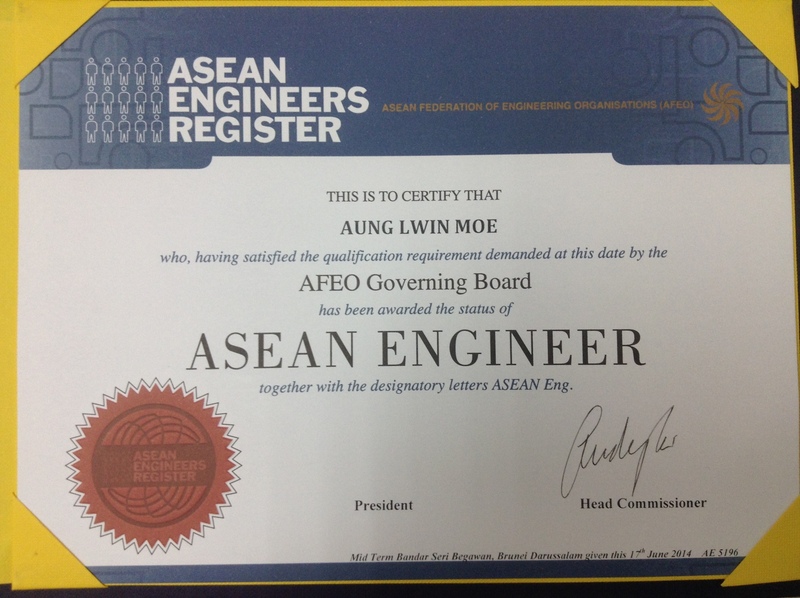 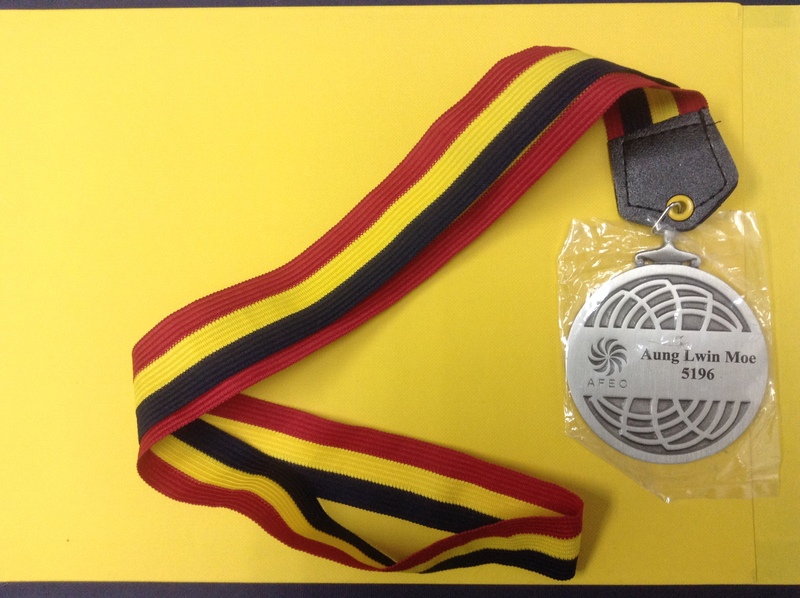 During the conference, Dr Aung was awarded the ASEAN Engineers Register (AER-ID 5196) and was conferred the title of ASEAN Engineer. 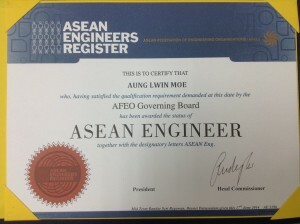 TriPreM wishes to congratulate Dr Aung Lwin Moe on this fine achievement. 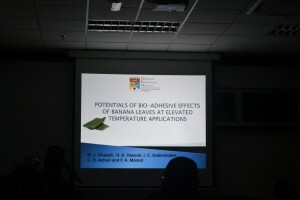 More information on CAFEO can be found here, and the link for the .pdf file containing the background of the conference may be downloaded here. 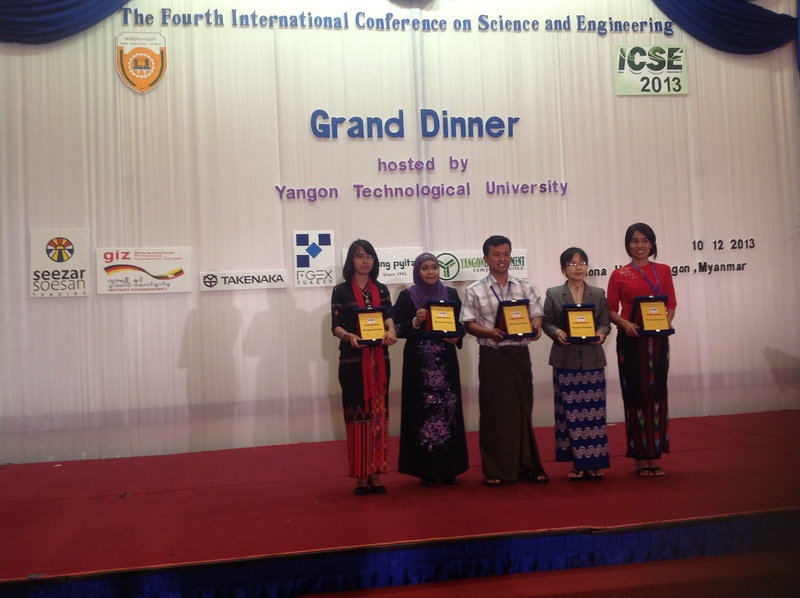 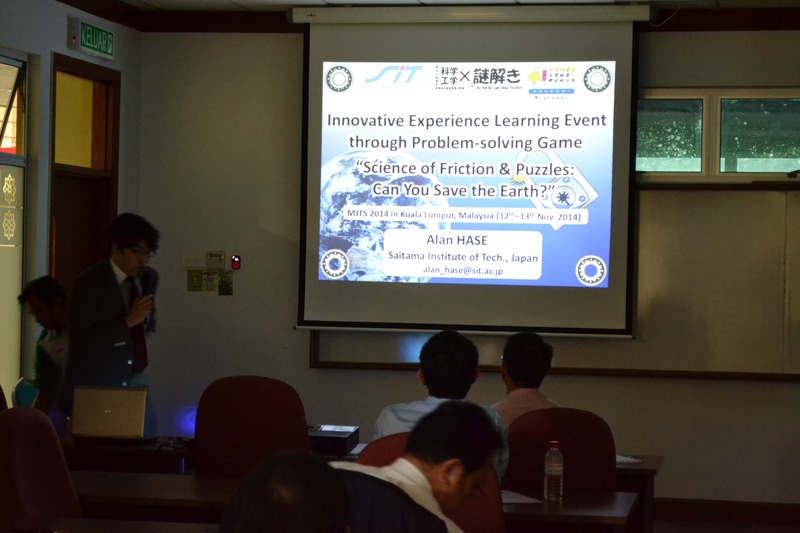 On 9th of December 2013, TriPreM was invited to attend the 4th International Conference on Science and Engineering (ICSE 2013), with TriPreM head, Dr Prof Kanao Fukuda, attending as keynote speaker. 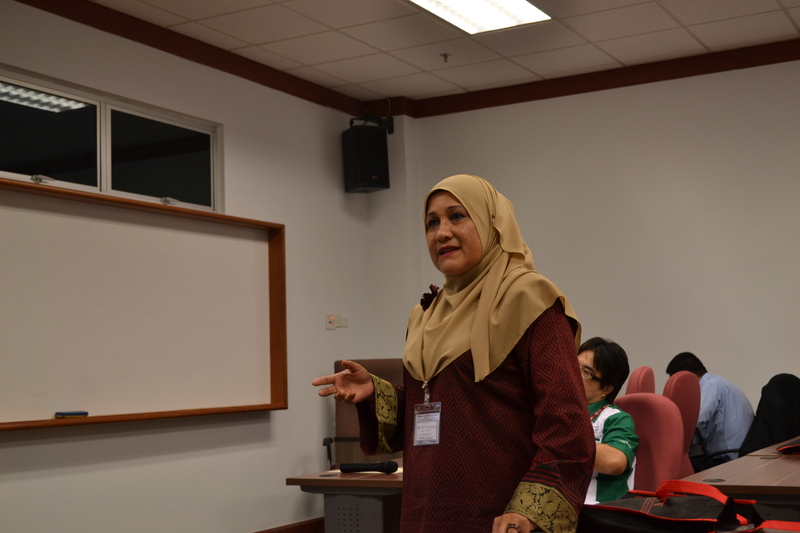 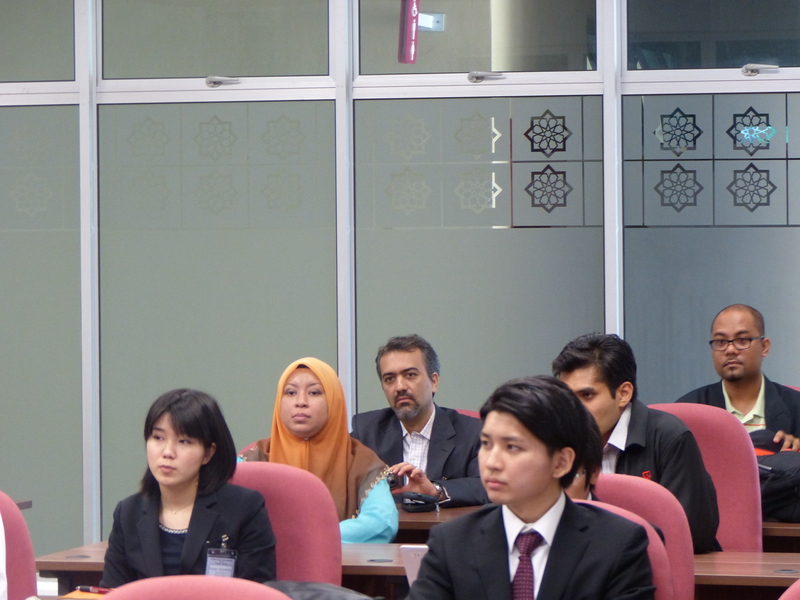 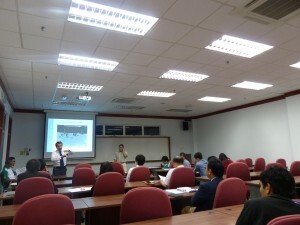 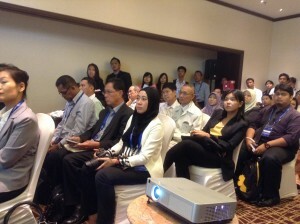 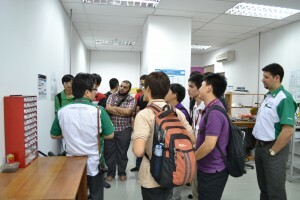 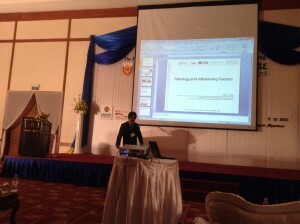 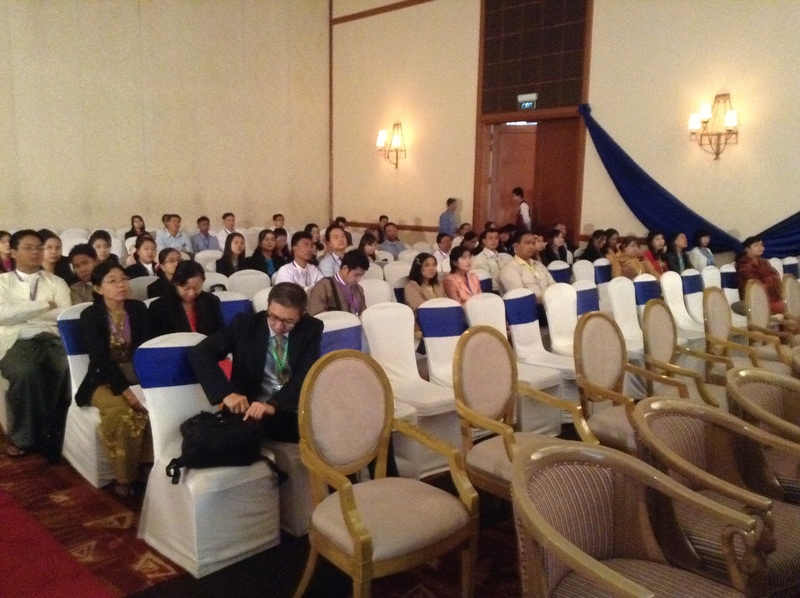 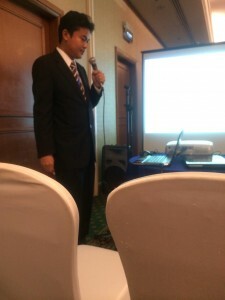 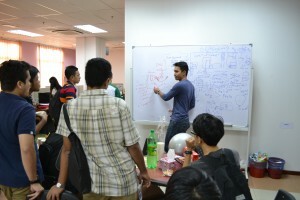 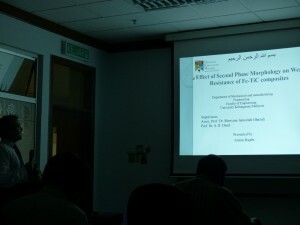 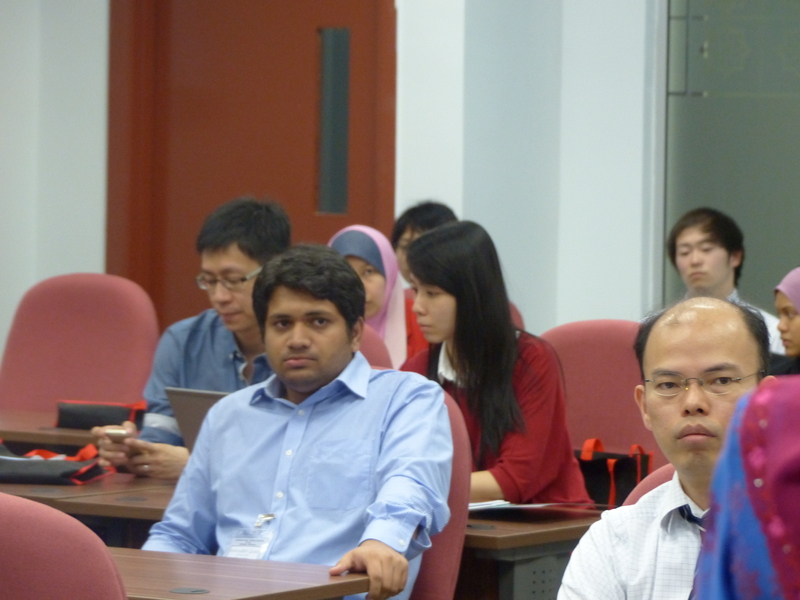 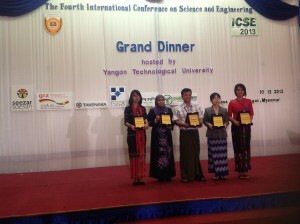 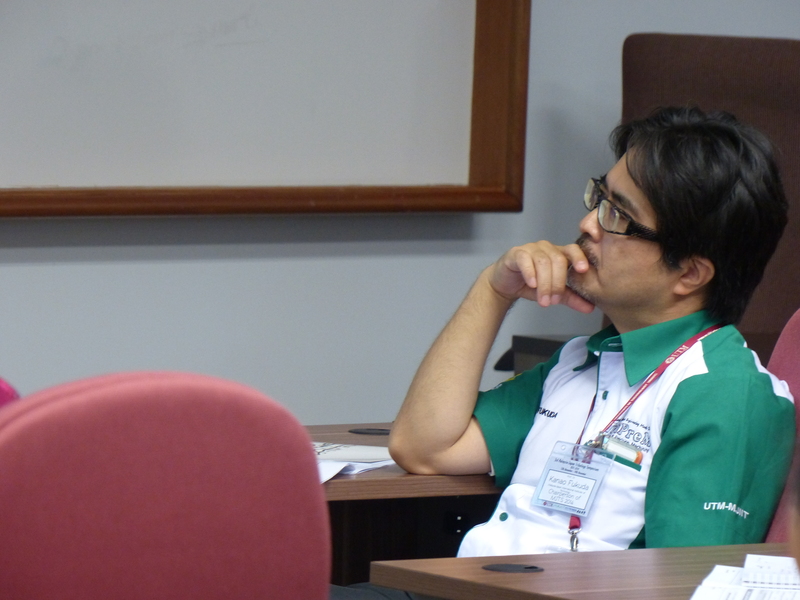 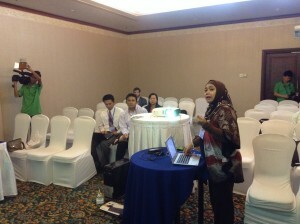 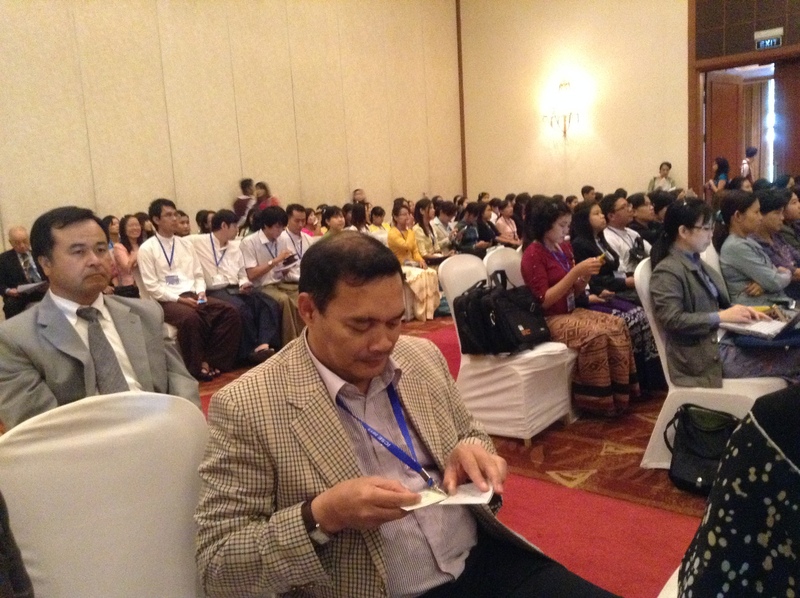 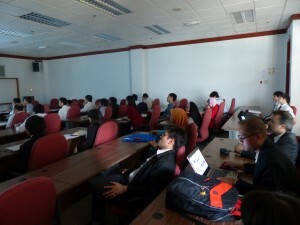 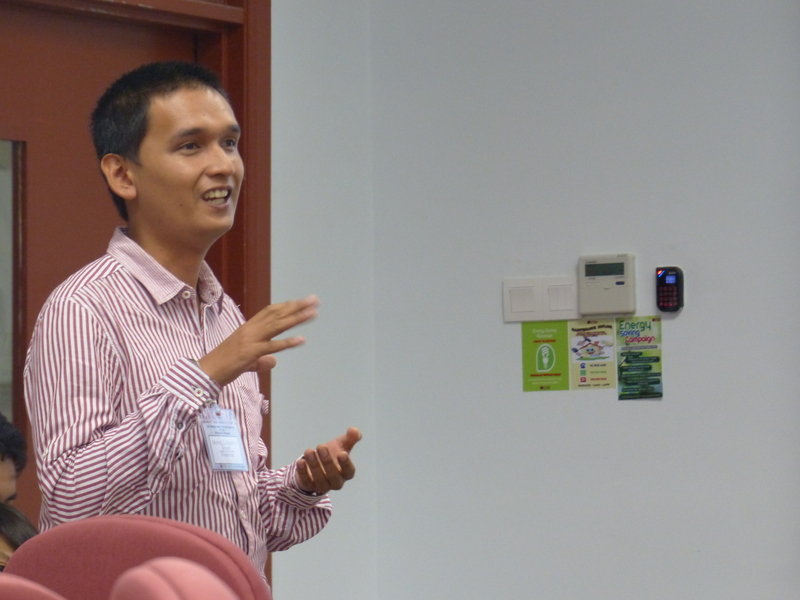 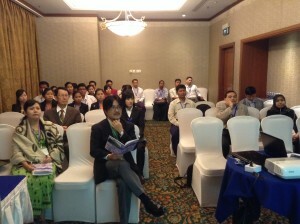 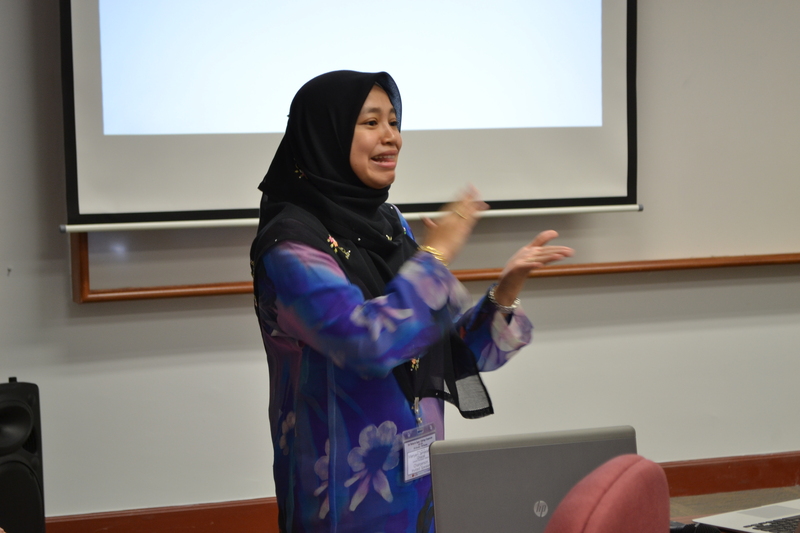 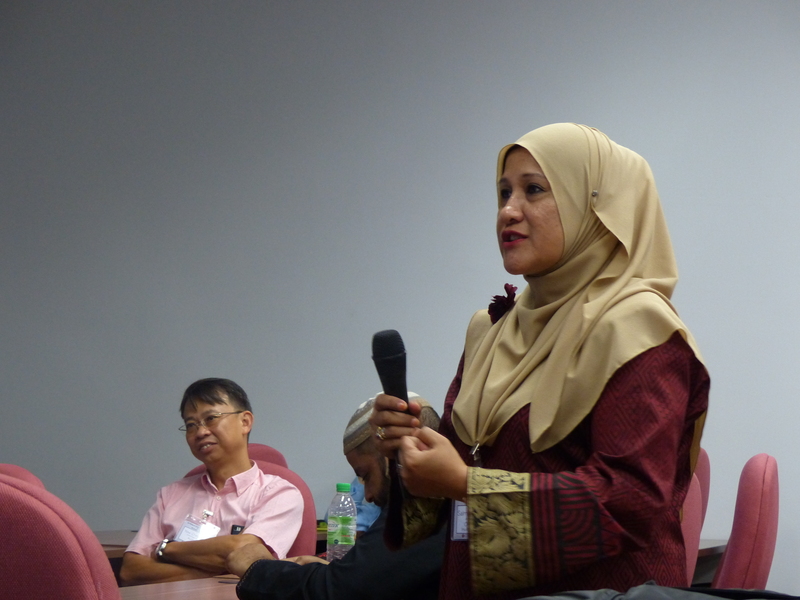 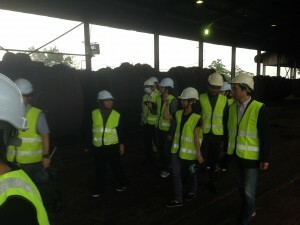 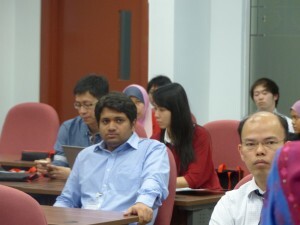 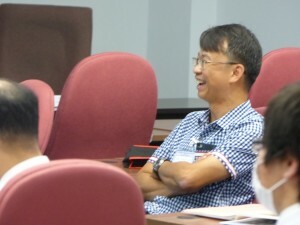 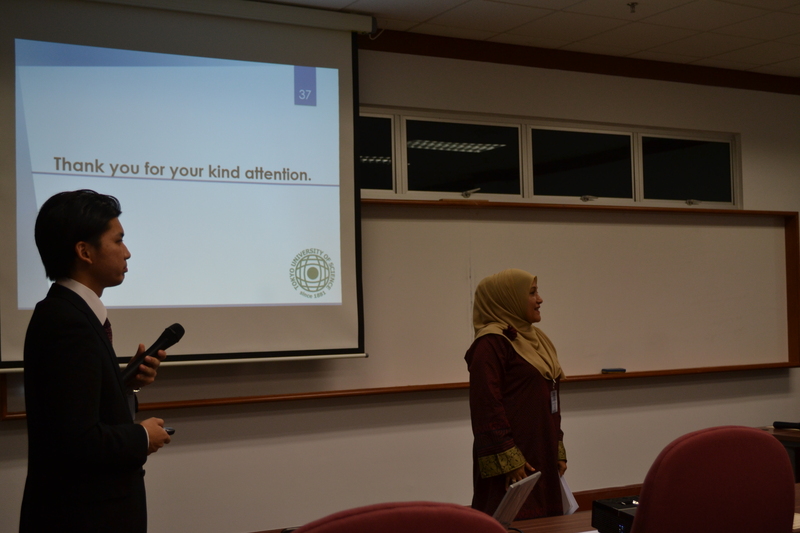 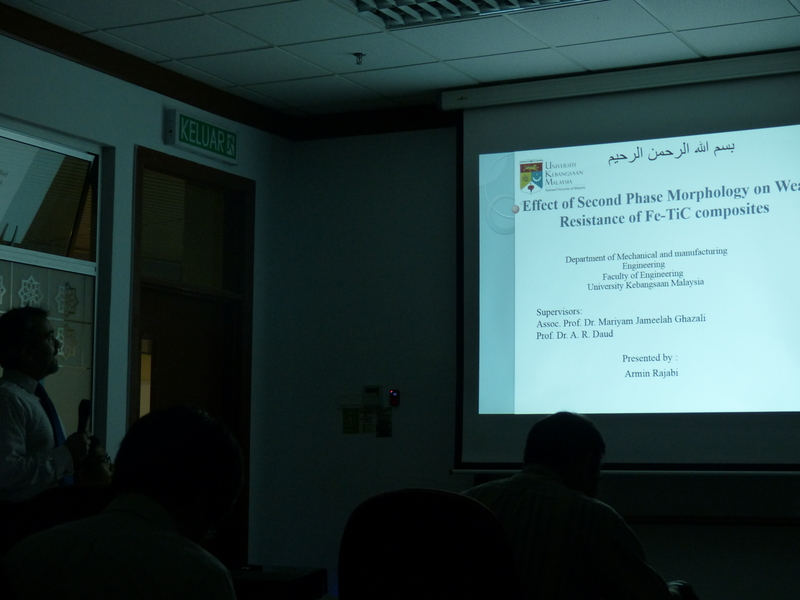 Two members, Associate Prof Nur’azah Abdul Manaf and Dr Aung Lwin Moe, attended the conference as presenters. 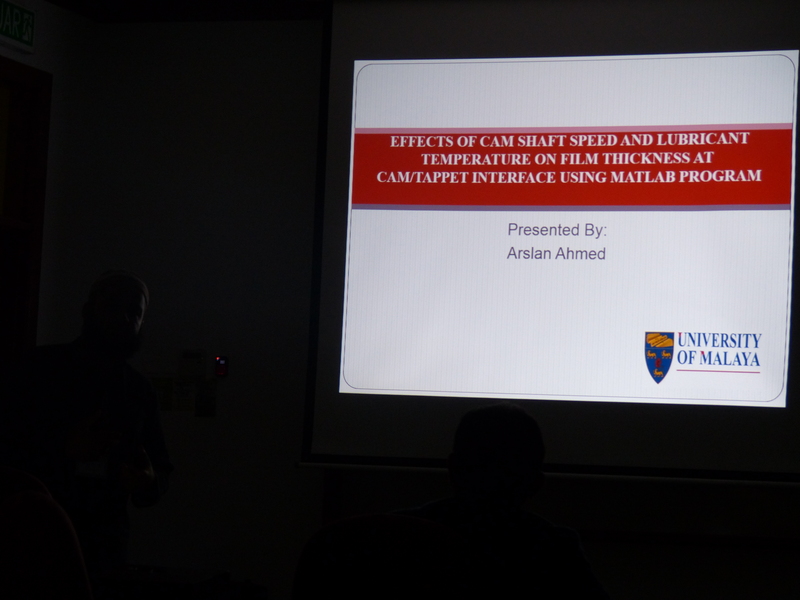 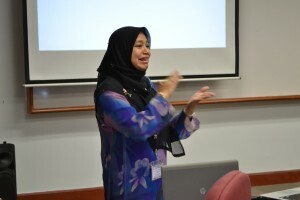 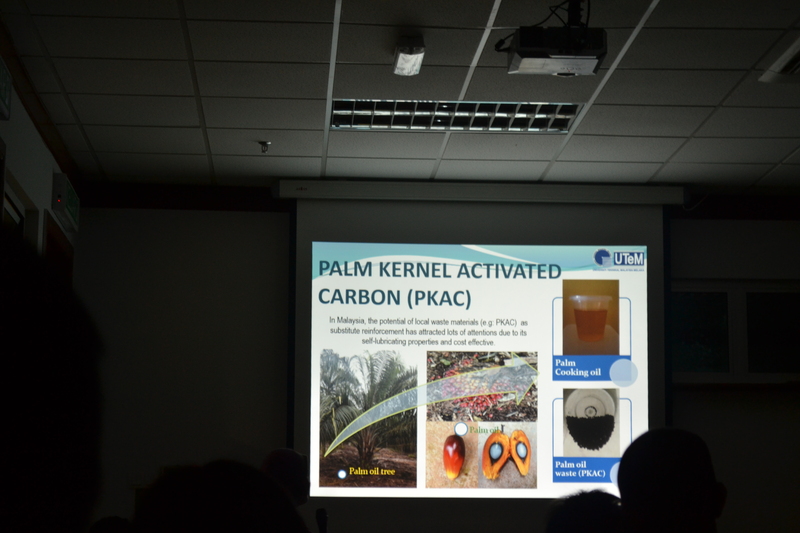 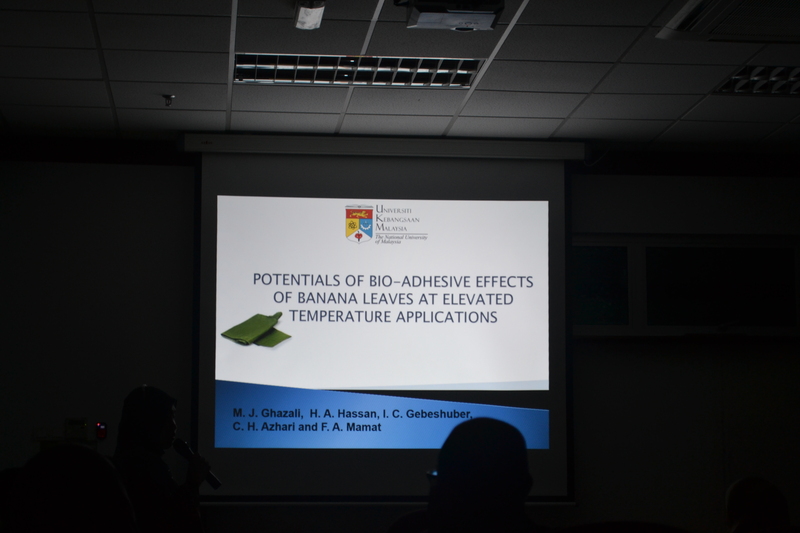 Proceedings include Prof Fukuda’s presentation on tribology and its influencing factors as keynote speaker; Assoc Prof Nur’azah and Dr Aung both presented their papers in their respective research approaches. 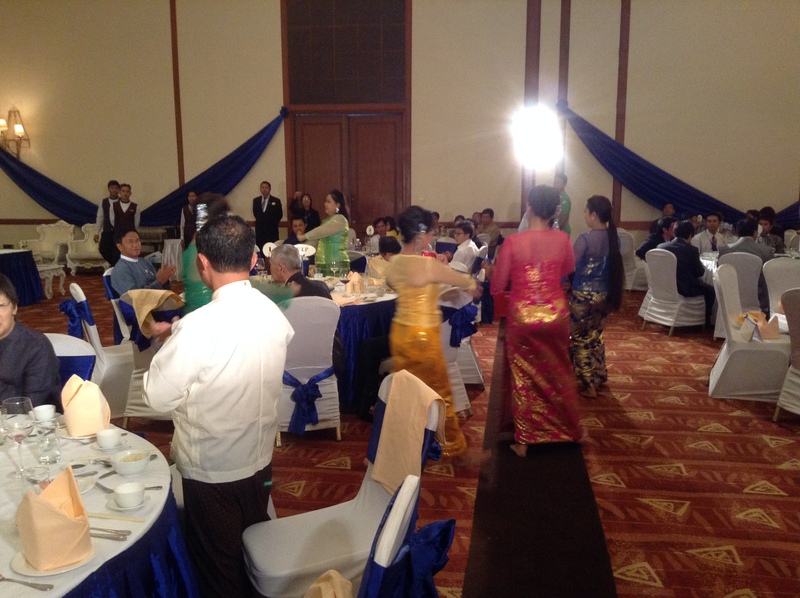 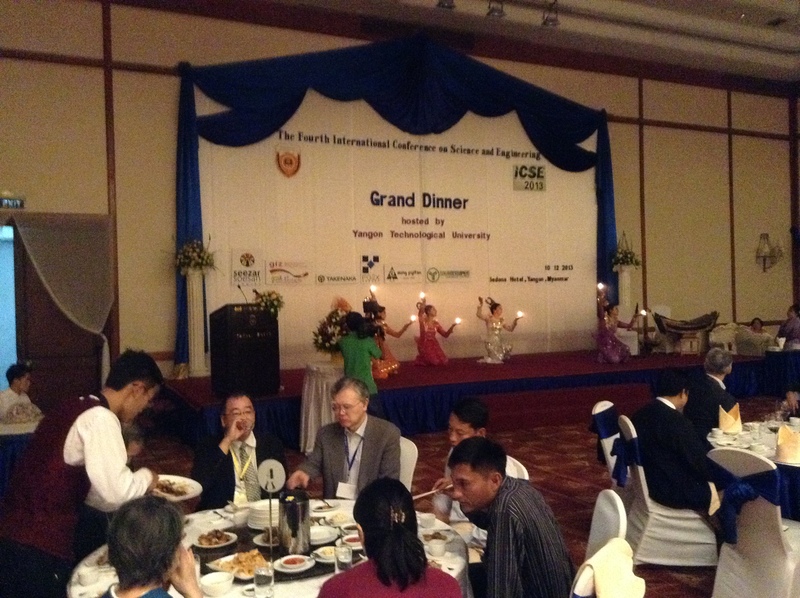 The event ends on a lovely note with an incredible dinner and a fine performance of Myanmar’s traditional dance. 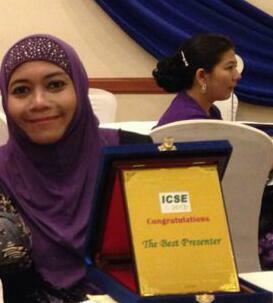 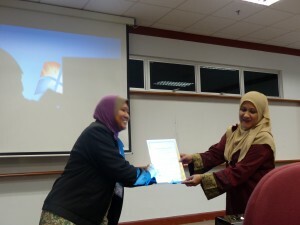 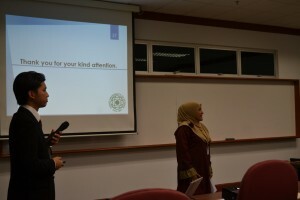 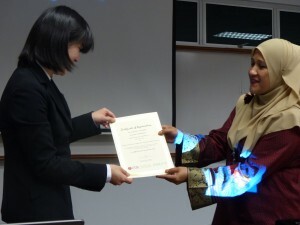 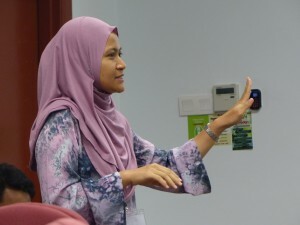 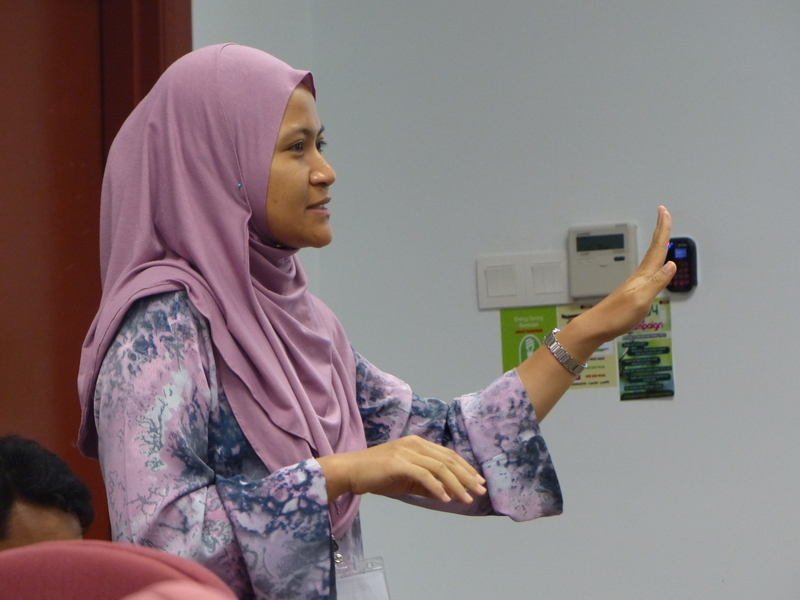 Additionally, TriPreM wishes to congratulate Assoc Prof Nur’azah Abdul Manaf on receiving ICSE 2013’s Best Presenter Award, for her stellar presentation of her research. Please visit the ICSE 2013 website for more information on the conference.